Fastenal Company-FAST announced that its board of directors approved a two-for-one stock split of the Company's outstanding common stock. Holders of the Company's common stock of record at the close of business on May 2, 2019, will receive one additional share of common stock for every share of common stock they own. The stock split will take effect at the close of business on May 22, 2019. Genuine Parts-GPC reported first quarter sales increase 3.3% to $4.7 billion with net income and EPS declining 9.2% to $160 million and $1.09, respectively. First quarter sales for the Automotive Group were up 2.3% to $2.6 billion, on a 3.1% comparable sales increase, a 2.9% benefit from acquisitions and an unfavorable foreign currency translation of 3.4%. Sales for the Industrial Group were up 5.7% to $1.6 billion, on a 4.2% comparable sales increase and a 1.8% contribution from acquisitions. Sales for the Business Products Group were up 1.0% to $479 million, consisting primarily of comparable sales growth. During the quarter, the company generated $16 million in free cash flow, down 85% from last year on changes in working capital. The company returned $105 million to shareholders through dividends during the period. Management reaffirmed its full year 2019 sales guidance and continues to expect sales to increase 3% to 4%. Earnings per share are expected to range from $5.56 to $5.71 down from previous guidance of $5.75 to $5.90 due to a divestiture of a business unit in Mexico. PepsiCo-PEP reported first quarter revenues rose 2.5% to $12.9 billion with net income up 5.2% to $1.4 billion and EPS popping 6.4% higher to $1.00. While foreign currency headwinds negatively impacted reported revenue growth, the company’s underlying organic growth accelerated to more than 5% in the quarter, the best organic growth in three years. Frito-Lay North America and each of the international divisions delivered strong operating performance and PepsiCo Beverages North America generated sequential quarterly net revenue acceleration. Due to increased working capital needs and capital expenditures, the company used $787 million of its cash for operating and investing activities. In addition, PepsiCo paid $1.3 billion in dividends and repurchased $940 million of its common stock. For the full year, PepsiCo reaffirmed its previous guidance with organic growth expected to be 4% and core EPS expected to decline 3% to $5.50 as the company laps a number of 2018 strategic asset-sale and refranchising gains. PepsiCo expects to generate free cash flow of $4.5 billion during 2019 and pay dividends of about $5 billion and repurchase approximately $3 billion of its shares. Johnson & Johnson-JNJ reported relatively flat first quarter sales of $20 billion with net income declining 14% to $3.7 billion and EPS down 13% to $1.39. On an operational basis, excluding currency translation and acquisitions and divestitures, adjusted worldwide sales increased 5.5% with adjusted EPS up 2%. Worldwide pharmaceutical sales increased 4.1% to $10.2 billion, representing 51% of total revenues. Strong broad based performance in nine key pharmaceutical products led to market share gains during the quarter. Growth was driven by increased volume. Worldwide Medical Devices sales decreased 4.6% during the quarter to $6.5 billion, accounting for 33% of sales. On an operational basis, Medical Devices sales grew 4.3% driven by the growth of electrophysiology products, Acuvue contact lens and biosurgicals. During the quarter, JNJ completed the acquisition of Auris Health to enhance their digital surgery capabilities. Worldwide Consumer sales decreased 2.4% to $3.3 billion, representing about 17% of total sales. On an operational basis, Consumer sales increased 0.7% driven by strong growth in the beauty and over-the-counter segments, including Tylenol which reclaimed the number one branded adult analgesic position in the U.S. At the end of the quarter, JNJ had $14 billion of net debt. The company’s capital allocation strategy is 1) to reinvest cash in the company’s business including spending 14.3% of sales in the first quarter on research and development; 2) mergers and acquisitions and; 3) returning cash to shareholders, including $2.4 billion in dividends in the first quarter and $900 million spent on repurchasing shares. JNJ has $4.1 billion remaining authorized for future share repurchases. Thanks to the strong first quarter, management raised their outlook for sales and earnings growth for the full 2019 year with operational sales expected in the range of $82.0 to $82.8 billion, representing 0.5%-1.5% growth, and adjusted operational EPS in the range of $8.73 to $8.83, representing 6.7% to 7.9% growth. 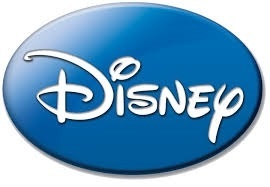 Walt Disney-DIS unveiled its comprehensive direct-to-consumer strategy, including Hulu, Hotstar, ESPN+ and the upcoming Disney+ service, which will launch in the U.S. market on November 12, 2019, at $6.99 a month. The service will offer fans of all ages a new way to experience content from the company’s iconic entertainment brands, including Disney, Pixar, Marvel, Star Wars and National Geographic and will be available on connected TV and mobile devices. In its first year, Disney will release more than 25 original series and 10 original films, documentaries and specials by some of the industry’s most prolific and creative storytellers. Following its U.S debut, Disney+ will rapidly expand globally, with plans to be in nearly all major regions of the world within the next two years. “Disney+ marks a bold step forward in an exciting new era for our company—one in which consumers will have a direct connection to the incredible array of creative content that is The Walt Disney Company’s hallmark. We are confident that the combination of our unrivaled storytelling, beloved brands, iconic franchises, and cutting-edge technology will make Disney+ a standout in the marketplace, and deliver significant value for consumers and shareholders alike,” said Bob Iger, chairman and chief executive officer. Fastenal-FAST reported first quarter net sales increased 10% to $1.3 billion with net earnings increasing 11% to $194 million and EPS up 12% to $0.68. Daily sales increased 12.2% thanks to continued strong demand, price increases and contribution from Fastenal’s growth drivers, most notably industrial vending, Onsite locations and construction. Sales grew at 65% of Fastenal’s branches and at 81 of its top national accounts amid a constructive marketplace tone. Fastener product sales grew 11.8% year-over-year and represented 34.8% of sales while non-fastener product sales grew 12.7% and represented 65.2% of sales. Daily sales to national accounts grew 17% and the company signed 59 new national accounts during the quarter. In addition, Fastenal signed 109 onsite locations, finishing the quarter with 945 active sites, up 39% from last year. The company signed 5,603 vending locations, finishing the quarter with an installed base of 83,410 sites, up nearly 14% from last year. Gross profit declined 100 basis points to 47.7% from last year, squeezed by customer and product mix, higher freight costs and net inflation on product margins. Operating income improved 20 basis points to 20% thanks to operating expense leverage, partially offset by higher spending on industrial vending equipment, employee compensation and information technology. During the quarter, Fastenal generated operating cash flow of $205 million converting 105.6% of net income to operating cash, up from 92% last year. Free cash flow increased 17% year-over-year to $151 million with the company returning $123 million to shareholders through dividend payments, up 16% from last year. Fastenal ended the quarter with $185 million in cash on its sturdy balance sheet. MSC Industrial-MSM reported second quarter revenues rose 7% to $823 million with average daily sales increasing 8.8%. Operating income declined 2.2% during the quarter to $96 million with net income declining 42% to $68.4 million and EPS off 40% to $1.24. The prior year period included tax benefits related to tax reform which impacted the bottom line comparison. While industrial market conditions remained generally solid in the second quarter, the company did see some moderation in demand in February which continued into March in due part to weather, the government shutdown and inventory destocking from customers concerned about tariffs. In the first week of April, demand improved. The pricing environment remained stable with the company able to increase prices 2%-3% during the second quarter. Free cash flow declined 25% during the first half of the year to $75.4 million due to lower earnings and higher capital expenditures. Free cash flow is expected to improve significantly in the third quarter due to positive working capital changes. During the first half of the year, MSC paid $70 million in dividends and repurchased $84 million of its common shares, including 275,000 shares repurchased in the second quarter at an average price of $76.02 per share. For the third quarter, management expects sales between $874 million and $891 million. At the midpoint, average daily sales are expected to increase about 6.5% with third quarter EPS expected in the range of $1.46 to $1.52. T. Rowe Price Group-TROW reported preliminary month-end assets under management of $1.08 trillionas of March 31, 2019, representing a 12.5% increase since year end. Walgreens Boots Alliance-WBA reported disappointing second quarter results with revenues up 4.6% to $34.5 billion and net income down 14% to $1.1 billion and EPS off 9% to $1.24. Market challenges and weak macro trends accelerated during the quarter with management not responding as rapidly as needed to keep up with the changing market conditions. During the quarter, the company saw significant reimbursement pressure, compounded by lower generic deflation as well as continued consumer market challenges in the U.S. and U.K. To address the rapidly shifting trends, Walgreens is bringing in new senior management in a number of areas and accelerating the digitalization of the business through partnerships with companies like Microsoft-MSFT and Google-GOOGL. The company plans to invest $300 million an year on these partnerships. The company’s goal is to generate annual cost savings of more than $1.5 billion by fiscal 2022. Free cash flow declined 84% in the first half of the year to $402 million due to higher tax payments, legal settlements, changes in working capital and higher capital expenditures related to Rite-Aid store conversions. While cash flow from operations is expected to be pressured in fiscal 2019, management expects cash flow to normalize in subsequent years to the $5.5 billion to $6.0 billion range. During the first half of fiscal 2019, Walgreens paid $841 million in dividends and repurchased $3.1 billion of its common shares with share repurchases expected to approach $3.8 billion for the full year. Given the challenging first half, Walgreens lowered their adjusted EPS growth outlook from 7%-12% growth to flat growth at constant currency rates, with a $.04 per share adverse currency impact expected. While operational growth should improve in fiscal 2020, adjusted EPS will likely be flat with fiscal 2019 due to a higher tax rate and continued foreign exchange headwinds. Walgreens is positioning the company for mid-to-high single-digit growth in adjusted EPS in fiscal 2021 and the following years. Accenture-ACN reported strong second quarter results with revenues up 5%, or 9% on a constant currency basis, to $10.5 billion and net income up 30% to $1.1 billion with EPS up 26% to $1.73. Adjusting for the benefit of tax reform last year, EPS increased 9%. Operating margin expanded 20 basis points during the quarter to 13.3%. Growth was broad-based during the quarter with three of the four operating groups generating double-digit constant currency revenue growth led by Resources with 22% growth. All geographies posted revenue growth led by 16% constant currency growth in Growth Markets. Reflecting significant market share gains, the company reported record new bookings of $11.8 billion during the quarter including consulting bookings of $6.7 billion and outsourcing bookings of $5.1 billion with bookings up 9% in each area on a constant currency basis. The book to bill ratio was 1.1. High demand for digital, cloud and security services comprised 65% of new bookings. Free cash flow increased 30% during the first half of the fiscal year to $2.2 billion. During the first half, Accenture paid dividends of $933 million and repurchased $1.8 billion of its common shares including 6.7 million shares in the second quarter for $1 billion at an average price of $149.46 per share. Accenture has $4.5 billion remaining authorized for future share repurchases. Accenture announced a 10% increase in the dividend to an annualized rate of $2.92 per share. For the full fiscal 2019 year, Accenture raised its sales, earnings and cash flow outlook with revenue growth expected in the range of 6.5% to 8.5% on a constant currency basis and EPS now expected in the range of $7.18 o $7.32, with operating margin expected to expand 10 to 30 basis points to a range of 14.5% to 14.7%. Free cash flow is expected in the range of $5.2 billion to $5.6 billion for the full year. 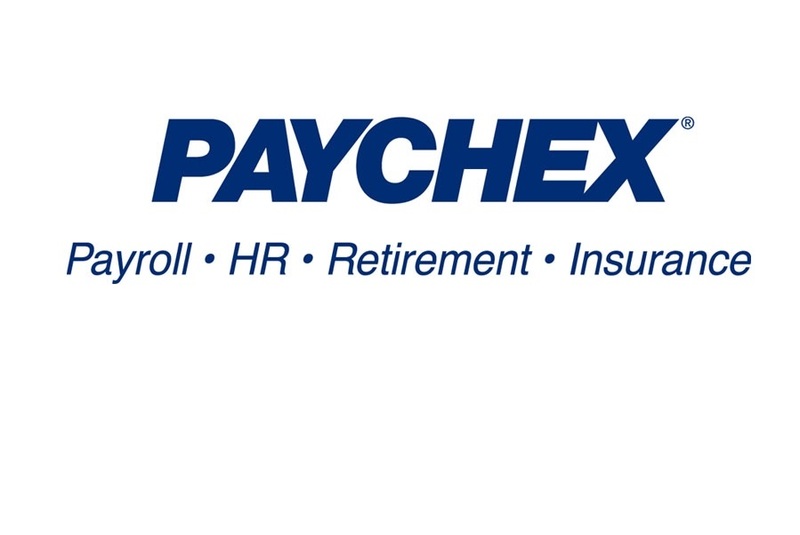 Paychex–PAYX reported fiscal third quarter sales increased 14% to $1.1 billion with net income declining 12% to $324.6 million and EPS down 11% to $0.90. Excluding the December 2018 acquisition of Oasis Outsourcing Group Holdings, total revenue increased 7%, driven by human resource outsourcing services, time and attendance solutions, health and benefit insurance, retirement services, new products and mobility app enhancements. Client worksite employees served grew by double-digits year-over-year. Excluding the impact of license agreement terminations and one-time tax benefits resulting from U.S. reform, adjusted net earnings and EPS increased 3%. Interest on funds held for clients increased 27% to $23 million for the third quarter, primarily due to higher average interest rates earned, which increased to 2.1% from 1.6% last year. Funds held for clients average investment balances decreased 4% to $4.4 billion, squeezed by the impact of lower client withholdings resulting from U.S. tax reform, partially offset by wage inflation. Year-to-date Paychex generated $935 million in free cash flow, up 11% from last year, with the company returning $637 million to shareholders through $604 million in dividend payments and $33 million in share repurchases. Paychex ended the quarter with $886 million in cash and corporate investments on its solid balance sheet. Paychex’s management sees a steady macroeconomic environment ahead with job growth flattening due work force shortages and overall wage growth in the 2.5% to 2.7% range with low-wage workers seeing increases of 3.5% to 4%. Many employers turning away business due to workforce shortages, have resorted to hiring unschooled people and training them, which helps Paychex’s business. Paychex has also seen a boost to their business as employers rely on the company to help them recruit and retain employees. Looking ahead to the full 2019 fiscal year, Paychex expects revenue excluding Oasis to grow in the 6% to 7% range with net income increasing 4% and adjusted EPS increasing in the 11% to 12% range. FactSet-FDS reported fiscal second quarter revenues rose 5.9% to $354.9 million with net income up 59% to $84.7 million and EPS up 65% to $2.19 benefiting from a lower tax rate. On an adjusted basis, EPS increased 14% as adjusted operating margin expanded 180 basis points to 33.2%. Revenue growth was primarily due to higher sales of analytics, content and technology solutions and wealth management solutions. Organic Annual Subscription Value (ASV) plus professional services increased 6% to $1.44 billion as of quarter end. Client count increased 108 clients during the past quarter to 5,405, driven by an increase in corporate and wealth management clients. User count increased by 6,854 to 122,063 during the quarter driven by an increase in banking and wealth management users. Annual client retention was 91%. Employee count increased 1.8% in the last 12 months to 9,529. Free cash flow declined 12% during the first half to $124 million primarily due to the timing of tax payments and an increases in capital expenditures. During the first half, the company paid $48.4 million in dividends and repurchased $110.7 million of its stock, including 214,945 shares for $44.1 million in the second quarter at an average price of $205 per share. FactSet has $137.2 million remaining authorized for future share repurchases. For the full fiscal 2019 year, FactSet expects revenues in the range of $1.41 billion to $1.45 billion with EPS expected in the range of $8.70 to $8.85. On an adjusted basis, EPS is expected in the range of $9.50-$9.65, representing 12% growth at the midpoint. 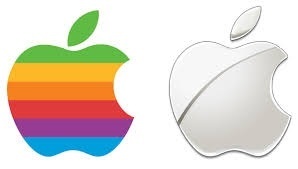 Apple-AAPL announced Apple Card, an innovative, new kind of credit card created by Apple. Apple Card is built into the Apple Wallet app on iPhone, offering customers a familiar experience with Apple Pay and the ability to manage their card right on iPhone. Apple Card transforms the entire credit card experience by simplifying the application process, eliminating fees, encouraging customers to pay less interest and providing a new level of privacy and security. Available in the US this summer, Apple Card also offers a clearer and more compelling rewards program than other credit cards with Daily Cash, which gives back a percentage of every purchase as cash on customers’ Apple Cash card each day. Apple also announced Apple Arcade, a game subscription service that will feature over 100 new and exclusive games which will be available to the App Stores’s more than 1 billion gaming customers. . Apple Arcade games will redefine games and be curated based on originality, quality, creativity, fun and their appeal to players of all ages. Apple Arcade will give customers the freedom to try any game from its handpicked collection of titles that are all-you-can-play, have no ads, ad tracking or additional purchases, and respect user privacy. In addition, Apple announced Apple TV+, the new home for the world’s most creative storytellers featuring exclusive original shows, movies and documentaries, coming this fall. Apple TV+, Apple’s original video subscription service, will feature a brand new slate of programming from the world’s most celebrated creative artists, including Oprah Winfrey, Steven Spielberg, Jennifer Aniston, Reese Witherspoon, Octavia Spencer, J.J. Abrams, Jason Momoa, M. Night Shyamalan, Jon M. Chu and more. On the Apple TV app, subscribers will enjoy inspiring and authentic stories with emotional depth and compelling characters from all walks of life, ad-free and on demand. Apple also announced Apple News+, a new subscription service that brings together over 300 popular magazines, leading newspapers and digital publishers into a beautiful, convenient and curated experience within the Apple News app. Available in the US and Canada, Apple News+ presents the best and most relevant articles to meet any range of interests from renowned publications such as Vogue, National Geographic Magazine, People, ELLE, The Wall Street Journal and Los Angeles Times. Biogen-BIIB authorized a program to repurchase up to $5.0 billion of the company’s common stock (the “2019 Share Repurchase Program”). The 2019 Share Repurchase Program does not have an expiration date. All share repurchases under the 2019 Share Repurchase Program will be retired. The 2019 Share Repurchase Program is in addition to the approximately $1.7 billion remaining under a previous authorization. 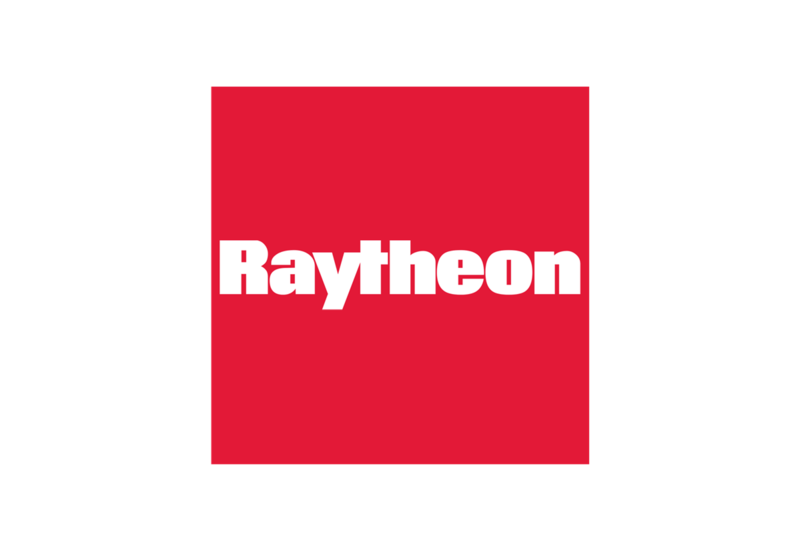 The Board of Directors of Raytheon Company-RTN has voted to increase the company's annual dividend payout rate by 8.6 percent, from $3.47 to $3.77 per share. "With today's announcement, we have increased our annual dividend for 15 consecutive years," said Thomas A. Kennedy, Raytheon Chairman and CEO. "The dividend increase is a key part of our capital deployment strategy, and reflects our confidence in the company's growth outlook and our continued focus on creating value for shareholders." Nike-NKE reported fiscal third quarter revenues rose 7% to $9.6 billion, or up 11% on a currency neutral basis, with net income of $1.1 billion and EPS of $.68 compared to losses in the prior year quarter related to tax reform. Revenue growth was driven by broad-based strength across all geographies as well as Nike Direct, led by digital growth of 36% during the quarter. Sales in China continued to be robust with Nike reporting the 19th consecutive quarter of double-digit growth in China. Strong demand for Nike products led to continued double-digit growth across footwear and apparel. Gross margin increased 130 basis points to 45.1% primarily driven by higher average selling prices, favorable changes in foreign exchange and growth in Nike Direct, partially offset by higher product costs. Inventories were up 1% during the quarter to $5.4 billion with inventories remaining healthy across all geographies. The company ended the quarter with $4 billion in cash and investments. During the third quarter, the company repurchased 9.8 million shares for $754 million at an average price of $76.93 per share. This completed the company’s four-year $12 billion share buyback program with the company commencing a new four-year $15 billion share repurchase program. 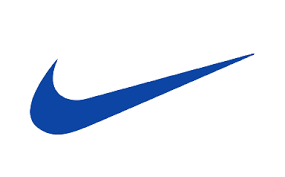 Nike expects fourth quarter constant currency revenue growth in the high single-digit range with a 6% headwind from foreign exchange leading to reported revenue growth in the low single-digit range with gross profit margin expansion of 75 basis points during the fourth quarter. For fiscal 2020, Nike expects high single-digit revenue growth with foreign exchange headwinds dissipating and gross margin expansion continuing. Nike sees four large growth opportunities for the future in international markets, digital sales, women’s sales and apparel sales. Biogen-BIIB and and Eisai, Co., Ltd. announced the decision to discontinue the global Phase 3 trials, ENGAGE and EMERGE, designed to evaluate the efficacy and safety of aducanumab in patients with mild cognitive impairment due to Alzheimer’s disease and mild Alzheimer’s disease dementia. The decision to stop the trials is based on results of a futility analysis conducted by an independent data monitoring committee, which indicated the trials were unlikely to meet their primary endpoint upon completion. The recommendation to stop the studies was not based on safety concerns. 3M-MMM issued long-term financial targets of organic local currency sales growth of 3%-5% and earnings per share growth of 8% to 11% with return on invested capital of 20%. The Walt Disney Company-DIS completed its $71 billion acquisition of Twenty-First Century Fox, Inc. for stock and cash. Disney is also acquiring approximately $19.8 billion of cash and assuming approximately $19.2 billion of debt of 21st Century Fox in the acquisition. “This is an extraordinary and historic moment for us—one that will create significant long-term value for our company and our shareholders,” said Robert A. Iger, Chairman and Chief Executive Officer, The Walt Disney Company. “Combining Disney’s and 21st Century Fox’s wealth of creative content and proven talent creates the preeminent global entertainment company, well positioned to lead in an incredibly dynamic and transformative era.” The acquisition is expected to be accretive to Disney earnings per share before the impact of purchase accounting for the second fiscal year after the close of the transaction, and to yield at least $2 billion in cost synergies by 2021 from operating efficiencies realized through the combination of businesses. 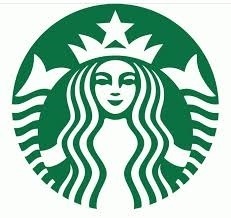 Starbucks-SBUX reaffirmed its growth goals of annual revenue growth of 7% to 9% and non-GAAP EPS growth of at least 10%. With a focus on disciplined growth in the U.S. and China, Starbucks celebrated the company’s 30,000th store opening. The company has returned $14 billion towards its previously announced commitment to return $25 billion to shareholders in the form of share buybacks and dividends over a three-year period through fiscal 2020. As part of this commitment, the company entered into a $2 billion accelerated share repurchase program (ASR) of the company’s common stock. The European Commission announced an antitrust fine of $1.7 billion for Alphabet-GOOGL. The fine relates to the company’s search ad brokering business, which involves Google selling advertising space related to searches carried out on third party websites. Responding to the Commission’s decision in a statement, Kent Walker, Google’s SVP of global Affairs, said: “We’ve always agreed that healthy, thriving markets are in everyone’s interest. We’ve already made a wide range of changes to our products to address the Commission’s concerns. Over the next few months, we’ll be making further updates to give more visibility to rivals in Europe.” Alphabet is expected to accrue the fine in the first quarter. 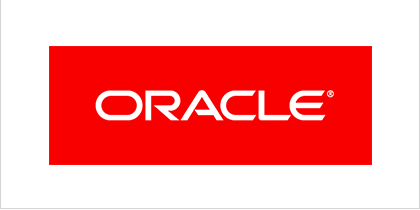 Oracle-ORCL reported third quarter revenues declined 1% to $9.6 billion, up 3% on a constant currency basis. Cloud services and license support led the growth with 1% growth, or 4% growth on a constant currency basis, to $6.7 billion. The company ended the quarter with a backlog of $31.5 billion with 62% of the backlog expected to be recognized in the next 12 months. The company has nearly 1,000 paying Autonomous Database customers and added around 4,000 new Autonomous Database trials during the quarter. Net income for the period was $2.7 billion with earnings per share of $.76. This compares with a prior year loss of $4 billion, $.98 per share, primarily due to a one-time $6.9 billion charge related to U.S. tax reform. Free cash flow during the first nine months of the fiscal year decreased 5% to $8.9 billion. Oracle paid $2.1 billion in dividends and repurchased $29.9 billion of its common stock during the first nine months of the year, including 206 million shares in the third quarter for $10 billion. Over the last 12 months, the company has reduced its shares outstanding by 16%. During the fiscal fourth quarter, revenue is expected to increase 1%-3% on a constant currency basis with non-GAAP EPS expected to increase 12%-16% in the range of $1.05-$1.09. Ulta Beauty-ULTA reported pretty fourth quarter results with revenues up 9.7% to $2.1 billion with net income up 3.1% to $214.7 million and EPS up 6.2% to $3.61. Excluding the 53rd week of fiscal 2017, revenues increased 16.2%. Comparable store sales increased a strong 9.4% during the quarter driven by 7.1% transaction growth and 2.3% growth in average ticket. Retail comparable sales increased 7%, including salon comparable sales growth of 6.2%. E-commerce comparable sales increased 25.1%. The excellent fourth quarter results reflected an acceleration in comparable store sales, driven by the best traffic seen in several quarters. The company continued to gain market share across all major categories. For the full year, revenue rose 14.1% to $6.7 billion with net income up 18.6% to $658.6 million and EPS up 22.1% to $10.94. Return on shareholders’ equity for the year was an alluring 36.2%. Free cash flow increased a robust 88% to $636.7 million with the company repurchasing 2,463,555 shares of its commons stock for $616.2 million at an average cost of about $250 per share. The company announced a new $875 million share repurchase authorization with management planning to repurchase $700 million of its shares in fiscal 2019. The company ended the year with 1,174 stores with a 9.2% increase in square footage. For fiscal 2019, Ulta plans to open approximately 80 new stores, execute 20 remodel or relocation projects and refresh about 270 stores with a capital expenditure budget of about $380 million to $400 million. The company expects to increase total sales in the low double-digit range in fiscal 2019 with comparable sales growth of about 6% to 7%, including e-commerce growth of 20% to 30%. Operating margins are expected to expand 10 to 20 basis points during the year which should lead to EPS in the range of $12.65 to $12.85 for fiscal 2019. Stryker-SYK announced it has completed the acquisition of OrthoSpace, Ltd., a privately held company founded in 2009 and headquartered in Caesarea, Israel, in an all cash transaction for an upfront payment of $110 million and future milestone payments of up to an additional $110 million. OrthoSpace’s product portfolio provides a highly differentiated technology for the treatment of massive irreparable rotator cuff tears. The InSpace product is a biodegradable sub-acromial spacer, which is designed to realign the natural biomechanics of the shoulder. The technology has a long clinical history with over 20,000 patients treated across 30 countries. In the U.S., InSpace is currently under clinical study and not approved for use. The transaction is expected to have an immaterial impact to net earnings in 2019. Biogen-BIIB announced that it has entered into a share purchase agreement with FUJIFILM Corporation under which Fujifilm will acquire the shares of Biogen’s subsidiary, which holds Biogen’s biologics manufacturing operations in Hillerød, Denmark, for up to $890 million in cash. As part of the proposed transaction, Biogen also announced that it will enter into manufacturing services agreements with Fujifilm. Following the completion of the transaction, Fujifilm will use the Hillerød site to produce commercial products for Biogen, such as TYSABRI, as well as other third-party products. The closing of the transaction is expected to occur in the second half of 2019. Biogen expects to record a total after-tax loss in the first quarter of 2019 of approximately $130 million to $150 million, or $0.66 to $0.76 per diluted share, related to the proposed transaction. This loss includes an estimate of $120 million associated with guarantees of future minimum purchase commitments. Biogen-BIIB announced that it has entered into an agreement to acquire Nightstar Therapeutics, a clinical-stage gene therapy company based in London, which is focused on adeno-associated virus (AAV) treatments for inherited retinal disorders. Under the terms of the proposed acquisition, Biogen will pay $25.50 in cash for each NST share. This offer represents a total transaction value of approximately $800 million. Biogen expects to complete the acquisition by mid-year 2019. Cognizant Technology Solutions-CTSH announced that it has entered into accelerated share repurchase ("ASR") agreements with HSBC Bank USA, National Association and Societe Generale to repurchase an aggregate of $600 million of Cognizant's Class A common stock. The ASR is part of the company's previously announced capital return plan to utilize approximately 50% of its global free cash flow on an annual basis for share repurchases and dividends. Fastenal-FAST reported net sales in February increased 10.5% to $411.9 million with average daily sales also up 10.5% to $20.6 million. Daily sales growth by end market increased 11.6% for manufacturing and 11% for non-residential construction. Daily sales growth by product line increased 8.7% for fasteners and 11.9% for other products. T. Rowe Price Group-TROW reported preliminary month-end assets under management of $1.07 trillion as of February 28, 2019, an 11% increase since 12/31/18. F5 Networks-FFIV announced a definitive agreement to acquire all issued and outstanding shares of privately-held NGINX, an open source leader in application delivery, for a total enterprise value of approximately $670 million, subject to certain adjustments. The acquisition of NGINX is expected to increase F5’s software revenue growth and increase the company’s software revenue mix in fiscal year 2019. It secures F5’s Horizon 2 (fiscal year 2021 to fiscal year 2022) objectives of mid-to-high single-digit revenue and double-digit non-GAAP earnings per share growth. Short-term, the company expects that the acquisition and organic investment in new and emerging solutions will result in modest earnings dilution in fiscal years 2019 and 2020. 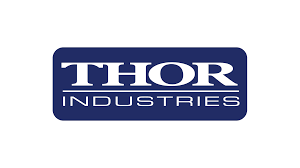 Thor Industries-THO reported fiscal second quarter revenues declined 35% to $1.29 billion with a net loss of $5.4 million or $.10 per share compared to prior year net income of $79.8 million or $1.51 per share. Earnings reflected $42.1 million, $.75 per share, of acquisition related costs. In addition, higher promotion costs and reduced fixed overhead absorption negatively impacted earnings during the quarter. Sales for the second quarter decreased 35.8% for the Towable segment and 33.7% for the Motorized segment. Thor generated $79.8 million of free cash flow during the first half of the year and paid $41.2 million in dividends. On February 1, 2019, Thor completed its acquisition of Erwin Hymer Group, Europe’s premier RV manufacturer. The acquisition is expected to be accretive to earnings in its first twelve months. Brown-Forman-BFB reported third fiscal quarter sales increased 3% to $904 million with net income increasing 19% to $227 million and EPS increasing 21% to $0.47. Year-to-date, underlying net sales grew 5% on broad-based portfolio growth including a 4% increase for the Jack Daniel’s family of brands, a 24% increase for Woodford Reserve, a 14% increase in Herradura and a 15% increase in el Jimador. Emerging markets grew underlying net sales by 10%, developed international markets grew underlying net sales by 4% and the United States grew underlying net sales by 4%. During the first nine months of the year, Brown-Forman generated $493 million in free cash flow and returned $437 million to shareholders through dividends of $231 million and share repurchases of $206 million. Recently enacted retaliatory tariffs on American whiskey have created uncertainty around the company’s near-term outlook, making it difficult to accurately predict future results. However, management reaffirmed its full fiscal 2019 year EPS guidance of $1.65 to $1.75, representing 11% to 18% growth from last year and underlying sales growth of 6% to 7%. Ross Stores-ROST reported fourth quarter revenues increased 1% to $4.1 billion with net income down 2% to $442 million and EPS up 1% to $1.20. Sales and earnings for the prior year period included 14 weeks compared to 13 weeks in the current quarter. Comparable store sales rose 4% during the quarter. For the full fiscal 2018 year, revenues increased 6% to $15 billion with net income up 17% to $1.6 billion and EPS up 20% to $4.26. Return on shareholders’ equity was a dressy 48% during the year. Free cash flow increased 26% to $1.6 billion during the year with the company paying $337 million in dividends and repurchasing $1.1 billion of shares. The Board of Directors authorized a new program to repurchase $2.55 billion of its common stock over the next two years which equates to 8% of the total market value. For fiscal 2019, management expects total sales growth of 5%-6% with 1%-2% comparable store sales growth. Earnings per share are expected in the range of $4.30 to $4.50 reflecting 3% growth at the midpoint. 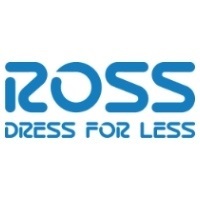 The company plans to add 75 Ross Dress for Less and 25 dds Discounts stores in fiscal 2019. Booking Holdings-BKNG reported fourth quarter revenue rose 14.6% to $3.2 billion with net income of $646 million and EPS of $13.86 versus losses last year related to tax reform charges. During the quarter, room nights increased 13% while rental card days dipped .6% lower and airline tickets declined 1.3%. For the full year, revenues rose 14.6% to $14.5 billion with international operations contributing $13 billion to the revenues, an increase of 17% over the prior year. During 2018, net income soared 70.8% to $4 billion with EPS up 78% to $83.26. The prior year period was impacted by tax reform charges. Operating income for 2018 increased 17.7% to $5.3 billion. In 2018, the company achieved a new milestone exceeding three-quarters of a billion total booked room nights. Alternative accommodations (non-hotels) generated $2.8 billion in revenues during the year and accounted for 20% of revenues with the business nicely profitable. As of 12-31-18, the company had 5.7 million alternative accommodation listings. Return on shareholders’ equity improved in 2018 to a superb 45.5%. Free cash flow increased 12% during the year to $4.9 billion with the company repurchasing $6 billion of its common stock during the year. Fiscal 2019 is getting off to a slow start due to macroeconomic factors in Europe, which is Booking’s largest market. Travel in Europe has slowed due to uncertainty over Brexit, yellow vests in France, an economic slowdown in Germany and Italy in a flux. As a result, Booking expects total gross travel bookings to increase 5% to 7%. If foreign exchange headwinds and the Easter shift this year versus last year are excluded, gross bookings will likely increase 7% to 9%. Revenues in the first quarter are expected to be flat to down 2% with EPS expected in the range of $9.90 to $10.20. The company expects non-GAAP EPS for the full 2019 year, on a constant currency basis, to grow in the low double-digit range. The TJX Companies-TJX reported fourth quarter sales rose 1.5% to a record $11.1 billion with net income down 4% to $841.5 million and EPS down 1% to $.68. Fourth quarter comparable store sales increased a strong 6% with customer traffic driving the comp sales increases at every division in the fourth quarter thanks to a terrific holiday season. The company’s excellent values on great brands and great gift giving assortments resulted in strong results in both the apparel and home businesses. For the full fiscal year, revenues rose 8.7% to $39 billion with net income and EPS each up 17.3% to $3.1 billion and $2.43, respectively. Full year comparable sales increased 6%, which marked the company’s 23rd consecutive year of comp sales growth. Return on shareholders’ equity was a dressy 44%. Free cash flow increased 51% during the year to $3.0 billion. Thanks to continue strong cash flow, the company paid dividends of $923 million during the year and repurchased $2.4 billion of its common stock. TJX announced an 18% increase in its dividend for fiscal 2020, marking the 23rd consecutive year of dividend increases. Over this time, the company’s dividend has grown at an impressive compound annual rate of 22%. The company also announced its plan to repurchase $1.75 to $2.25 billion of its common stock during fiscal 2020. Since 1997, the company has repurchased approximately $22.1 billion of its stock. For fiscal 2020, management expects revenues to rise 5% to 6% to a range of $41 billion to $41.2 billion on comparable store sales growth of 2% to 3% with EPS expected in the range of $2.55 to $2.60. Berkshire Hathaway-BRKB reported the company’s net worth during 2018 rose 0.4% with book value equal to $212,503 per Class A share as of 12/31/18. Since 1965, Berkshire’s book value has compounded at an impressive 18.7% annual rate with Berkshire’s stock price compounding at an outstanding 20.5% annual rate compared to the S&P 500 index with dividends reinvested, compounding at 9.7% over the same time period. Surprisingly, Warren Buffett announced that he will be “retiring” book value changes as a metric of Berkshire’s performance in future annual reports. He cited three reasons that the change in book value metric had lost the relevance it once had. First, Berkshire has gradually morphed from a company whose assets are concentrated in marketable stocks into one whose major value lies in its operating businesses. Second, while equity holdings are valued at market prices, operating companies are included in book value at an amount far below their current value. Third, it is likely that over time, Berkshire will be a significant repurchaser of its shares, which will result in intrinsic value per share going up, but book value per share going down. During the fourth quarter, Berkshire reported a loss of $25.4 billion compared to a gain of $32.6 billion in the prior year period, which benefited from a $29.1 billion positive impact from the enactment of the 2017 Tax Act. New accounting rules in 2018 require Berkshire to book the net changes in unrealized appreciation/depreciation in net income instead of comprehensive income which resulted in a $28.1 billion paper loss in net earnings in the fourth quarter from investments and derivatives. In addition, Berkshire recorded a $3 billion impairment of intangible assets charge in the fourth quarter related to Berkshire’s equity interest in Kraft Heinz. Operating earnings in the fourth quarter increased 71% to $5.7 billion. For the full year 2018, Berkshire’s operating revenues rose 3% to $247.6 billion and the company earned $4.0 billion, which included a 71% increase in operating earnings to $24.8 billion, the $3 billion non-cash Kraft Heinz impairment charge, $2.8 billion in realized gains from the sale of investment securities and a $20.6 billion paper loss from a reduction in the amount of unrealized capital gains that existed on investment holdings during the year. Due to the new accounting rules, wild swings in reported earnings will continue as Berkshire’s huge equity portfolio is valued at nearly $173 billion as of 12-31-18. This portfolio will often experience one-day price fluctuations of $2 billion or more. During the volatile fourth quarter, there were several days the portfolio gained or lost more than $4 billion. Warren Buffett’s advice to shareholders is to focus on operating earnings and pay little attention to the paper gains and losses, as Berkshire’s investments are expected to deliver substantial gains over time. Berkshire’s five major investment holdings represent 68% of total equities, including American Express at $14.5 billion (down $600 million year over year), Apple at $40.3 billion (up $12.1 billion due to additional purchases during the year), Bank of America at $22.6 billion (up $1.9 billion for the year), Coca-Cola at $18.9 billion (up $500 million for the year) and Wells Fargo at $20.7 billion (down $8.6 billion for the year). During 2018, Berkshire’s insurance underwriting operations generated $1.6 billion in earnings compared to a $2.2 billion loss in the prior year period. The prior year period included $3 billion in pre-tax losses from three major hurricanes in the U.S. and an earthquake in Mexico. The insurance operations reflected significantly improved results from GEICO and Berkshire Hathaway Reinsurance and reductions of liabilities for prior years’ property/casualty loss events. Insurance investment income was 17% higher at $4.6 billion during the year, reflecting higher interest rates on short-term investments, higher dividend income due to increases in the portfolio of equity securities and a lower tax rate. The float of the insurance operations approximated $123 billion as of 12/31/18, an increase of $8 billion since year end 2017. The increase in float reflected the acquisition of MLMIC and overall growth of the insurance operations. The average cost of float was negative during 2018 as the underwriting operations generated pre-tax earnings of $2.0 billion. Berkshire has operated at an underwriting profit for 15 of the past 16 years with a total pre-tax gain of $27 billion. Burlington Northern Santa Fe’s (BNSF) revenues rose 12% during 2018 to $23.9 billion with net earnings chugging 32% higher to $5.2 billion, reflecting the favorable change in the tax rate. Pre-tax earnings rose a solid 9% to $6.9 billion. During the year, BNSF generated a 6.2% comparative increase in average revenue per car/unit and a 4.1% increase in volume thanks to general economic growth across all business sectors, led by 16% revenue growth in the industrial and energy sectors, and tight truck capacity leading to conversion from highway to rail. Berkshire Hathaway Energy reported revenues increased 6% to $20 billion during 2018 with all groups, except PacifiCorp, contributing to the growth. Net earnings increased 29% during the year to $2.6 billion primarily due to tax credits. On a pre-tax basis, earnings declined 1% to $2.5 billion due to lower utility margins reflecting increased depreciation, maintenance and other operating expenses. Berkshire’s Manufacturing businesses reported a 7% increase in revenue growth in 2018 to $61.9 billion with operating earnings up 13% to $9.4 billion. Revenue growth was broad-based, led by Building Products with 10% growth to $18.7 billion, Industrial Products with 7% growth to $30.7 billion and Consumer Products with 3% growth to $12.5 billion. Industrial Products pre-tax earnings increased 15% to $5.8 billion during 2018. Iscar’s revenues increased 16% during the year with pre-tax earnings also increasing significantly due to increased unit sales, increased manufacturing efficiencies and business acquisitions. Pre-tax earnings in the Building Products and Consumer Products each rose 9% during the year to $2.3 billion and $1.2 billion, respectively. The earnings increase in Building Products was due to higher earnings from Clayton Homes and Shaw, partially offset by lower earnings from Johns Manville. The increase in Consumer Products reflected increases from Duracell and the apparel and footwear businesses, partly offset by lower earnings from Forest River and Larson Juhl. Service and Retailing revenues rose 3% during the year to $78.9 billion with pre-tax earnings up 13% to $2.9 billion. Service revenues rose 10% to $13.3 billion in 2018 with operating earnings up 21% to $1.8 billion. TTI’s revenues increased 34% due to an industry-wide increase in demand for electronic components in many geographic markets around the world, acquisitions and favorable foreign currency changes. While TTI’s revenue increases were significant, demand is beginning to moderate due to the impact of tariffs. TTI accounted for 84% of the increase in earnings in this unit with XTRA, Charter Brokerage and NetJets also contributing to the earnings growth. Retailing revenues rose 4% during the year to $15.6 billion with operating earnings up 10% to $860 million, reflecting higher earnings from Berkshire Hathaway Automotive (BHA) and Louis Motorrad. McLane’s revenues were relatively flat during the year at $50 billion. McLane operating earnings declined 18% to $246 million due to significant pricing pressures in an increasingly competitive grocery business environment. McLane’s unfavorable operating conditions are expected to continue in 2019. Berkshire’s balance sheet continues to reflect significant liquidity and a strong capital base of $349 billion as of 12/31/18, unmatched in corporate America. Excluding railroad, energy and finance investments, Berkshire ended the quarter with $319.2 billion in investments allocated approximately 54.1% to equities ($172.8 billion), 6.2% to fixed-income investments ($19.9 billion), 5.5% to equity method investments ($17.3 billion), and 34.2% in cash and equivalents ($109.2 billion). Berkshire’s financial strength allows Buffett to make significant investments and acquisitions. Apple was the largest stock investment in 2018. Berkshire closed the previously announced $2.5 billion acquisition of Medical Liability Mutual Insurance Company on Oct. 1, 2018. Bolt-on acquisitions approximated $1 billion in 2018. Free cash flow declined 33% during 2018 to $22.9 billion due to the lower 2018 earnings and the lapping of the big boost to float from the AIG deal in the prior year period. During 2018, capital expenditures increased 24% to $14.5 billion. In 2019, Berkshire expects capital expenditures to approximate $10.5 billion for BNSF and Berkshire Hathaway Energy. During 2018, Berkshire sold and redeemed a net $10.9 billion in Treasury Bills and fixed-income investments and purchased a net $24.4 billion of equity securities, reflecting $43 billion in purchases, including Apple, Bank of America and other financial stocks, and $19 billion in sales, including all of IBM shares. Buffett believes the stocks purchased “offered excellent value, far exceeding that available in takeover transactions.” With prices “sky-high” for elephant-sized acquisitions that possess decent long-term prospects, Berkshire will likely continue to expand in 2019 their holdings of marketable equities. Berkshire normally acquires a 5% to 10% interest in marketable securities, which makes JP Morgan a likely candidate for further purchase if valuations remain reasonable. Berkshire revised its buyback policy which now permits Berkshire to repurchase shares at prices below Berkshire’s intrinsic value, as conservatively determined by Warren Buffett and Charlie Munger. During 2018, Berkshire repurchased $1.3 billion of its common stock. Berkshire Hathaway’s stock appears attractively valued, currently trading at $302,000 per A share and $201.91 per B share. Based on current business fundamentals, we expect Berkshire’s A shares to trade between $273,000-$349,000 per share and the B shares to trade between $182-$232 per share. Buy. Hormel Foods-HRL reported first fiscal sales increased 1% to $2.4 billion with operating earnings increasingly slightly to $307 million, net earnings falling 20% to $241 million and EPS dropping 21% to $.44. By business segment, Refrigerated Foods sales increased 2% to $1.3 billion, led by the new Hormel Deli Solutions division, with strong gains coming from Columbus® branded items and Jennie-O® premium deli meats, Old Smokehouse® bacon and Hormel® Fire Braised™ products. Grocery Products sales increased slightly to $607 million, led by Herdez® salsas and sauces, Wholly Guacamole® dips, the SPAM® family of products, Muscle Milk® protein beverages and Hormel® bacon toppings, partially offset by declines in contract manufacturing. Jennie-O-Turkey Stores sales dipped slightly to $321 million as improved results in foodservice sales of Jennie-O® raw boneless breasts and Jennie-O® cooked breasts were offset by two ground turkey product recalls prompted by salmonella concerns. International sales increased 2% to $154 million, driven by sales in China that exceeded expectations. During the quarter, Hormel generated $178 million in free cash flow, down 34% from last year, squeezed by the timing of hog purchases. Hormel returned $145 million to shareholders during the quarter through share repurchases of $45 million at an average cost of $40.91 per share and dividends of $100 million. The company paid its 362nd quarterly dividend at the annual rate of $0.84 per share, up 12% from last year, marking the 53rd consecutive year of dividend increases and the 10th consecutive year of double-digit increases. Hormel ended the quarter with $513 million in cash on its beefy balance sheet. The company announced the sale of its CytoSport business, which generated about $300 million in annual sales, to PepsiCo for $465 million in cash. Management expects the deal to close next quarter. Looking ahead to the full fiscal year, the company expects sales in the $9.7 billion to $10.2 billion range, up 4% from last year at the midpoint, with EPS in the range of $1.77 to $1.91, compared to $1.86 in fiscal 2018. Management will update this guidance for the impact of the CytoSport sale after the deal closes. 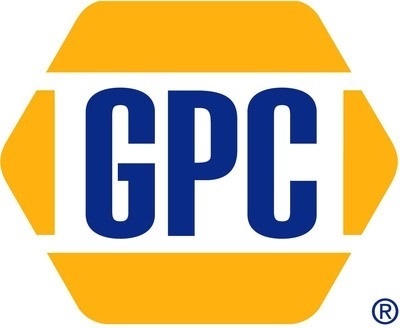 Genuine Parts-GPC reported fourth quarter sales motored ahead 9.4% to $4.6 billion with operating income increasing 14.5% to $254 million, net income increasing 72% to $187 million on lower taxes and EPS increasing 74% on fewer shares outstanding. Fourth quarter sales for the Automotive Group were up 11.4% to $2.6 billion, on a 4% comparable sales increase, a 9% benefit from acquisitions and an unfavorable foreign currency translation of about 2%. Sales for the Industrial Group were up 8.7% to $1.6 billion, on a 7% comparable sales increase and a 2% contribution from acquisitions. Sales for the Business Products Group were up 1.6% to $457 million, consisting primarily of comparable sales growth. For the year, Genuine Parts reported sales increased 15% to $18.7 billion with net income up 31% to $810 million and EPS up 32% to $5.50. During 2018, the company generated a solid 23.3% return on shareholders’ equity and $913 million in free cash flow, up 30% from last year on working capital efficiencies. The company returned $508 million to shareholders during 2918 through dividends of $416 million and share repurchases of $92 million. Genuine Parts announced a 6% dividend increase for 2019. The company has paid a cash dividend every year since going public in 1948 and 2019 marks the 63rd consecutive year of increased dividends paid to Genuine Parts’ shareholders. Looking ahead to 2019, management expects sales to increase 3% to 4% with EPS of $5.75 to $5.90. Oracle-ORCL authorized the repurchase of up to an additional $12.0 billion of common stock under an existing share repurchase program. The stock repurchase authorization does not have an expiration date and the pace of repurchase activity will depend on factors such as Oracle’s working capital needs, cash requirements for acquisitions and dividend payments, debt repayment obligations or repurchases of Oracle’s debt, Oracle’s stock price, and economic and market conditions. UPS-UPS increased its regularly quarterly dividend by 5.5% to $0.96 per share on all outstanding Class A and Class B shares. UPS has a long commitment to cash dividends. For nearly 50 years, the company has either increased or maintained its dividend. Since 2000, UPS’s dividend has more than quadrupled. PepsiCo-PEP reported fourth quarter revenues were relatively flat at $19.5 billion with net income of $6.9 billion and EPS of $4.83 compared to losses in the prior year period due to tax reform charges. While adverse foreign exchange translation negatively impacted revenues, the underlying organic revenue growth accelerated in the second half with solid 4.6% organic revenue growth in the fourth quarter with strong core constant currency EPS growth of 17%. Frito-Lay North America and each of the international sectors performed very well while North America Beverages made progress throughout the year. For the full year, revenues increased 2% to $64.7 billion with net income popping 158% to $12.5 billion and EPS up 160% to $8.78, primarily due to the benefits of tax reform. Full 2018 year revenues rose 3.7% with core constant currency EPS growth of 9% to $5.66. Return on shareholders’ equity bubbled higher to 86% in 2018. Free cash flow declined 13% during the year to $6.1 billion due primarily to tax factors. During the year, PepsiCo paid $4.9 billion in dividends and repurchased $2 billion of its common stock. PepsiCo announced a 3% increase in its 2019 dividend to $3.82 per share, marking the 47th consecutive annual dividend increase. For fiscal 2019, PepsiCo expects to pay dividends of $5 billion and repurchase $3 billion of its common stock. Full year fiscal 2019 organic revenue growth is expected to be 4% with a 1% decline in core constant currency EPS due to lapping one-time gains in 2018, a higher expected tax rate and 2019 incremental investments to strengthen the business. PepsiCo expects to generate $9 billion in operating cash flow in 2019 with a step-up in capital expenditures to $4.5 billion to support future growth, resulting in free cash flow of approximately $5 billion. The company expects long-term financial performance of 4%-6% organic revenue growth, core operating margin expansion of 20 to 30 basis points, high-single-digit core constant currency EPS growth and increasing core net returns on invested capital. 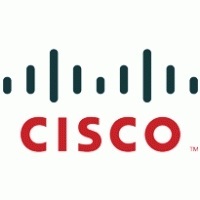 Cisco Systems-CSCO reported second quarter revenues rose 5% to $12.4 billion with net income of $2.8 billion and EPS of $.63 compared to losses last year related to a tax charge in connection with tax reform. On an adjusted basis, net income rose 6% with EPS up 16% during the second quarter. Despite complex political and macroeconomic headwinds, Cisco’s results were solid with growth across all geographies and double-digit growth in Applications and Security. Free cash flow increased 5% during the first half of the year to $7.1 billion. During the first half, Cisco paid $3 billion in dividends and repurchased $10 billion of its common stock, including the repurchase of 111 million shares at an average price of $45.09 per share or $5 billion in aggregate in the second quarter. Cisco ended the quarter with cash and investments of more than $40 billion and long-term debt of $16 billion. As part of its commitment to return cash to shareholders, Cisco announced a 6% increase in its dividend and the authorization of an additional $15 billion for share repurchases, bringing the total authorization to $24 billion. Management’s outlook for the third quarter is for 4%-6% revenue growth and EPS in the range of $.63 to $.68. In the last year, Alphabet-GOOGL has hired more than 10,000 people in the U.S. and made over $9 billion in investments. Alphabet announced over $13 billion in investments throughout 2019 in data centers and offices across the U.S., with major expansions in 14 states. These new investments will give the company the capacity to hire tens of thousands of employees, and enable the creation of more than 10,000 new construction jobs in Nebraska, Nevada, Ohio, Texas, Oklahoma, South Carolina and Virginia. With this new investment, Google will now have a home in 24 total states, including data centers in 13 communities. Focused on creating the next frontier of surgery, Johnson & Johnson-JNJ announced that Ethicon, Inc., entered into a definitive agreement to acquire Auris Health, Inc. for approximately $3.4 billion in cash. Additional contingent payments of up to $2.35 billion, in the aggregate, may be payable upon reaching certain predetermined milestones. Auris Health is a privately held developer of robotic technologies, initially focused in lung cancer, with an FDA-cleared platform currently used in bronchoscopic diagnostic and therapeutic procedures. This acquisition will accelerate Johnson & Johnson's entry into robotics with potential for growth and expansion into other interventional applications. Johnson & Johnson continues to make meaningful investments to transform the surgical experience, connecting digital solutions to enhance surgical performance. In addition to advancing the company's focused initiatives to combat lung cancer, Auris Health's technology will support Johnson & Johnson's vision of being a world leader across the continuum of surgical approaches, including open, laparoscopic, robotic and endoluminal. 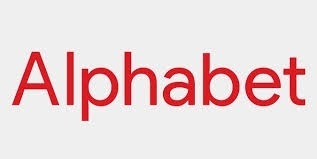 This move is also complementary to the acquisition of Orthotaxy's robotic technology for orthopaedics and the continued development of the Verb Surgical Platform, through a strategic partnership with Verily, the healthcare unit of Alphabet-GOOGL. "We are very committed to our partnership with Verily on the development of the Verb Surgical Platform. Collectively, these technologies, together with our market-leading medical implants and solutions, create the foundation of a comprehensive digital ecosystem to help support the surgeon and patient before, during and after surgery," said Ms. McEvoy. The transaction is expected to close by the end of the second quarter of 2019. T. Rowe Price-TROW declared a quarterly dividend of $0.76per share payable March 29, 2019 to stockholders of record as of the close of business on March 15, 2019. The quarterly dividend rate represents an 8.6% increase over the previous quarterly dividend rate of $0.70 per share. This will mark the 33rd consecutive year since the firm's initial public offering that the company will have increased its regular annual dividend. The Board also approved a 10 million share increase in the company's authorization to repurchase its common stock. This brings the total repurchase authorization to nearly 22.4 million shares. Maximus-MMS reported first quarter operating results with revenues up 7% to $664.6 million primarily attributed to the acquisition of the citizen engagement center contracts in the US Federal segment. The revenue growth was partially offset by headwinds from foreign currency translations of $7.2 million. Organic revenue for the quarter was down as welfare-to-work contracts in Australia and the United Kingdom came to their natural conclusion. Operating income for the quarter was $74.1 million, yielding an operating margin of 11.2% as compared to 12.8% for the same period last year. The operating profit margin declined primarily due to the lower margins on the newly acquired citizen engagement center contracts. The newly acquired contracts are cost plus fixed fee, these type of contracts usually have margins in the single digits as the contractor is exposed to less cost risk in performing the work. Additional pressure will be felt on margins as new contracts are fully operational for the quarters ahead. Net income for the first quarter was $55.9 million or $0.86 per share, down 5% from $59.1 million in the prior year period. The primary drivers behind the decrease in earnings are the increases in costs associated with the acquisition and amortization of intangible assets. Operating cash flows for the quarter rang up the till at $59.3 million, an increase of 56.5% over the first quarter of last year. The increased cash flow was provided by reduced demands on cash from deferred revenue and compensation and benefits. We can expect some additional improvement in cash flow as management focuses on its receivable collections. Free cash flow for the quarter was $53.9 million. Maximus management indicated that the company’s business was not significantly impacted by the Government shutdown as the work being performed for the Federal government was either in areas with approved funding or were considered essential operations. The biggest impact the company felt was in the slowdown in the approval of security clearances to add personnel to current contracts. Maximus may see some pressure on cash flows in the second quarter, but this will be temporary until the Government catches up on processing invoices. Maximus started the year off strongly with nearly $1 billion dollars in new contract awards in the first quarter. These awards and the additional revenue from the full operation of the newly acquired contracts will add to revenue over the next three quarters. Maximus also exits the first quarter with a strong pipeline of contract opportunities totaling $19.9 billion over the next two years. The contract pipeline is comprised of potential new contract work and the re-competition of existing contracts. As of December 31, 2018, Maximus sales pipeline is comprised of 78% of new contract opportunities which bodes well for growth in future years. Maximus is currently undergoing a strategic change and focusing on the Federal government under the leadership of the new CEO and based on the first quarter results appears to be positioning this HI-quality company for the long-term. Management affirmed guidance for 2019 with revenue of $2.925 to $3.0 billion expected. Earnings per share are projected in the range of $3.55 to $3.75 for the fiscal 2019 year. 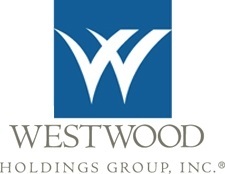 Westwood Holdings-WHG reported fourth quarter revenues declined 23% to $26.1 million with net income flat at $5.4 million and EPS up 3% to $.64. The decline in revenues was due to lower average assets under management (AUM) due to net outflows, market depreciation and the sale of the Omaha-based private wealth business. AUM at 12/31/18 totaled $16.6 billion, a 31% decline from the $24.2 billion held at 12/31/17. For the full year, revenues declined 9% to $122.3 million with net income up 34% to $26.8 million and EPS up 32% to $3.13. Net income benefited from foreign currency gains, lower incentive compensation expense and a lower tax rate due to tax reform. Return on shareholders’ equity was 16.6% in 2018. Free cash flow declined 35% during the year to $30.5 million due primarily to net purchases of trading securities. During the year, Westwood paid dividends of $24.6 million and repurchased 108,289 shares of its common stock for $4 million at an average price of $36.93 per share. Westwood ended the year with a debt-free balance sheet and more than $118 million in cash and investments. Cognizant Technology Solutions-CTSH reported fourth revenues increased 7.9% to $4.13 billion with net income of $648 million and EPS of $1.12 compared to a loss of $18 million or $.03 per share in the prior year. The prior year loss included a one-time $617 million expense related to U.S. tax reform. Excluding one-time items including the impact of tax reform , EPS increased 2% from last year. Consulting & Technology Services represented 58% of total revenue and grew 9.5% while Outsourcing represented 42% of revenues and grew 6%. Revenue growth was solid across all business segments led by 18.4% growth in Communications, Media and Technology followed by 14% growth in Products and Resources. For the full year, sales increased 8.9% to $16.1 billion with net income up 40% to $2.1 billion and EPS up 42% to $3.60. Return on shareholders’ equity for the year was 18%. Free cash flow increased 4% to $2.2 billion during the year with the company paying $468 million in dividends and repurchasing $1.26 billion of its common stock. Cognizant ended the year with $4.5 billion in cash & investments and $736 million in debt on its strong balance sheet. For 2019, management expects revenue growth of 7% to 9% in constant currency with adjusted operating margin of 19% resulting in adjusted EPS of $4.40. The company announced Brian Humphries as the new CEO effective April 1, 2019. Current CEO, Francisco D'Souza, will serve as Executive Vice Chairman on the board until the transition is complete at the end of June and will then remain on the board as Vice Chairman. Fastenal’s-FAST January sales increased 13.3% to $446.9 million with average daily sales also up 13.3% to $20.3 million. Daily sales by end market increased 13.8% in manufacturing and 16.7% in non-residential construction. Daily sales growth by product lines increased 13.3% in fasteners and 13.6% in other products. The percentage of the top 100 national accounts growing was 88% compared to 79% in the prior year period. Total personnel increased 4.9% to 21,841. The 3M-MMM Board of Director declared a dividend on the company’s common stock of $1.44 per share for the first quarter of 2019, a 6 percent increase over the quarterly dividend paid in 2018. The dividend is payable March 12, 2019, to shareholders of record at the close of business on Feb. 15, 2019. "The strength of our business model enables 3M to consistently generate premium margins and strong cash flow, and to build on the company’s long history of returning cash to our shareholders," said Mike Roman, 3M chief executive officer. 3M has increased its dividend for 61 consecutive years and paid dividends to its shareholders without interruption for more than 100 years. Disney-DIS reported flat first quarter sales at $15.3 billion with net income declining 37% to $2.8 billion and EPS dropping 36% to $1.86. These results were impacted by a net tax benefit in the prior year period. On an adjusted basis, EPS declined 3% during the quarter. Studio Entertainment revenues declined 27% during the quarter to $1.8 billion with operating income down 63% to $309 million due to difficult comparison with theatrical distributions in the prior year period. Parks, Experiences & Consumer Products revenues rose 5% during the quarter to $6.8 billion with operating income up 10% to $2.2 billion due to increased guest spending and higher occupied room nights a the theme parks and resorts. Media Networks revenue increased 7% to $5.9 billion with operating income also up 7% to $1.3 billion thanks to strong growth in the broadcasting segment. Direct-to-consumer and International sales dipped 1% in the quarter to $918 million with the operating loss widening to $136 million due to foreign exchange headwinds and increased investments in the ramp up of ESPN+. ESPN+ now has 2 million paid subscriptions for its streaming service which doubled in the last five months. Free cash flow declined 28% during the quarter to $904 million due to lower operating results and higher tax payments. Capital expenditures increased by $214 million to $1.2 billion driven by higher spending on new attractions at the domestic theme parks and resorts. Management is looking forward in fiscal 2019 to the successful completion of the 21st Century Fox acquisition and the launch of the Disney+ streaming service. Alphabet-GOOGL reported fourth quarter revenues rose 22% to $39.3 billion with net income of $8.9 billion and EPS of $12.77 compared to losses in the prior year quarter related to one-time tax transition charges. During the fourth quarter, Google advertising revenues increased 20% to $32.6 billion, representing 83% of total revenues. All geographic regions were strong with each region generating double-digit growth. Google other revenues rose 31% to $6.5 billion with Other Bets revenues up 18% to $154 million during the quarter. Google operating income in the quarter rose 13% to $9.7 billion with Other Bets operating loss widening to $1.3 billion. Total traffic acquisition costs increased 15% in the quarter to $7.54 billion. Paid clicks on Google properties increased 66% during the quarter with cost per click declining 29%. For the full year 2018, Alphabet’s revenues rose 23% to $136.8 billion with net income and EPS each up 142% to $30.7 billion and $43.70, respectively, thanks to the benefits of tax reform. Return on shareholders’ equity was 17.3% for the year. Free cash flow declined 4% during the year as capital expenditures jumped 91% to $25 billion as the company invested significant resources in data centers and other facilities to support future growth. Capital expenditure growth is expected to moderate in 2019. During 2018, Alphabet repurchased $9.1 billion of its common stock and announced a new $12.5 billion share repurchase program for 2019. Alphabet ended the year with a strong balance sheet with more than $109 billion in cash and marketable securities and $4 billion in long-term debt. Alphabet has eight products or services with more than one billion users each with plans to embed artificial intelligence in the products to make them even more valuable to users. Polaris Industries-PII announced that its Board of Directors approved a 2 percent increase in the regular quarterly cash dividend, raising the payout to $0.61 per share. This increase represents the 24th consecutive year of Polaris increasing its dividend. UPS-UPS reported fourth quarter revenue rose 5% to $19.8 billion with net income and EPS each down 59% to $453 million and $.52, respectively, which included a non-cash, after-tax pension charge of $1.2 billion or $1.42 per share. On an adjusted basis for specified items, EPS increased 17% during the quarter. During the fourth quarter, UPS reported average revenue yield expanded 4% with gains in all products. The company achieved record shipments and exceptional on-time service during the peak holiday season with the U.S. Domestic segment delivering more than 21 million packages, on average, per day. For the full 2018 year, total revenue increased 8% to $71.9 billion with net income and EPS each down 2% to $4.8 billion and $5.51, respectively. On an adjusted basis, EPS increased 21%. Free cash flow topped $6.4 billion as the company reinvested $6.6 billion in its global network. UPS paid dividends during the year of $3.2 billion, an increase of 10% over the prior year, and repurchased 8.9 million shares for $1 billion at an average price of about $112.35 per share. The company has earmarked another $1 billion for share repurchases in 2019. During 2019, UPS expects U.S. revenue to grow 4% to 6% and international revenue to grow 5% to 7% with total adjusted operating profit growth in the low-teens with all segments up double-digits thanks to margin expansion. Adjusted EPS are expected in the range of $7.45-$7.75 with adjusted free cash flow expected in the range of $3.5 to $4.0 billion. Capital expenditures are planned in the range of 8.5% to 10% of revenue in 2019, as the company continues to invest for the long haul including an expected 18 new or retrofit automated global facilities. Management expects softer export and GDP growth in 2019 due to trade policy uncertainty. Tractor Supply-TSCO reported fourth quarter sales increased 9% to $2.1 billion with net income up 25% to $136.9 million and EPS up 28% to $1.11. Earnings from the prior year include a charge of $4.9 million, or $.04 per share, related to U.S. tax reform. Sales growth was driven by a solid 5.7% increase in comparable store sales growth consisting of a 3% increase in the average ticket and a 2.6% increase in customer transactions. All geographic regions and all major product categories had positive comparable store sales growth. The company opened 17 new Tractor Supply stores and 4 new Petsense stores in the quarter and closed 10 underperforming Petsense stores. For the full year, sales increased 9% to $7.9 billion with net income up 26% to $532 million and EPS up 31% to $4.31. Return on shareholders’ equity for the year was a strong 34%. Free cash flow increased 9% to $416 million during the year. The company paid $147 million in dividends and repurchased $350 million of its common stock at an average price of $70.14 during the year. Since inception of the repurchase program, the company has repurchased $2.5 billion of its stock with $520 million remaining authorized for future share repurchases. For 2019, management expects revenues of $8.31 to $8.46 billion with EPS in the range of $4.60 to $4.75 reflecting earnings growth of 8.5% at the midpoint. Comparable stores sales growth is expected to be in the range of 2% to 4% with 80 new Tractor Supply and 10 to 15 new Petsense store openings. Mastercard-MA reported fourth quarter revenue charged ahead by 15% to $3.8 billion with net earnings of $900 million, or $0.87 per share, compared to net income of $200 million, or $0.21 per share, last year. Excluding the impact of U.S. tax reform and other one-time items, fourth quarter income and EPS were $1.6 billion and $1.55, up 33% and 36%, respectively. Underlying revenue growth was 12%, driven by: a 17% increase in switched transactions; a 14% increase in gross local currency dollar volume to $1.5 trillion; and a 17% increase in local currency cross-border volumes, partially offset by an increase in rebates and incentives on new and renewed agreements and increased volumes. During the fourth quarter, Mastercard repurchased about 4.4 million shares at a cost of $888 million, or $201.82 per average share, and paid $259 million in dividends. Quarter-to-date through January 30, the company repurchased an additional 4 million shares at a cost of $773 million, which leaves $6 billion remaining undercurrent repurchase program authorizations. On a macro level, overall economic growth was solid in 2018 and Mastercard expects this growth to continue in 2019, albeit with some moderation. Management is carefully watching several factors including increased trade tensions, rising interest rates and other economic and political factors that could slow growth over the longer term. With low unemployment and positive consumer confidence, U.S. retail spending increased 4.8% year-over-year. Europe’s retail spending moderated and spending in the U.K. increased 3.5% despite concerns over Brexit. China’s slow-down has not directly affected Mastercard as the company does not have a domestic presence there though China’s slowdown has hurt the global economy. For 2018, Mastercard reported revenues increased 20% to $15 billion with net income of $5.9 billion and EPS of $5.60, compared to net income of $3.9 billion and EPS of $3.65 in 2017. Excluding the impact of U.S. tax reform and other one-time items, adjusted net earnings were $6.8 billion, or $6.49 per share, up 38% and 42%, respectively. During 2018, Mastercard generated a stellar 108.6% return on shareholders’ equity. The company generated $5.9 billion in free cash flow during 2018, up 10% from last year, and returned nearly $6 billion to shareholders through dividends of $1 billion and share repurchases of $4.9 billion at an average cost per share of $187.02. The company ended the year with $8.4 billion in cash & investments and $5.8 billion in long-term debt on its strong balance sheet. For 2019, management expects revenue growth in the low-teens with operating expenses in the high-single digits and an effective tax rate of 19% to 20%. 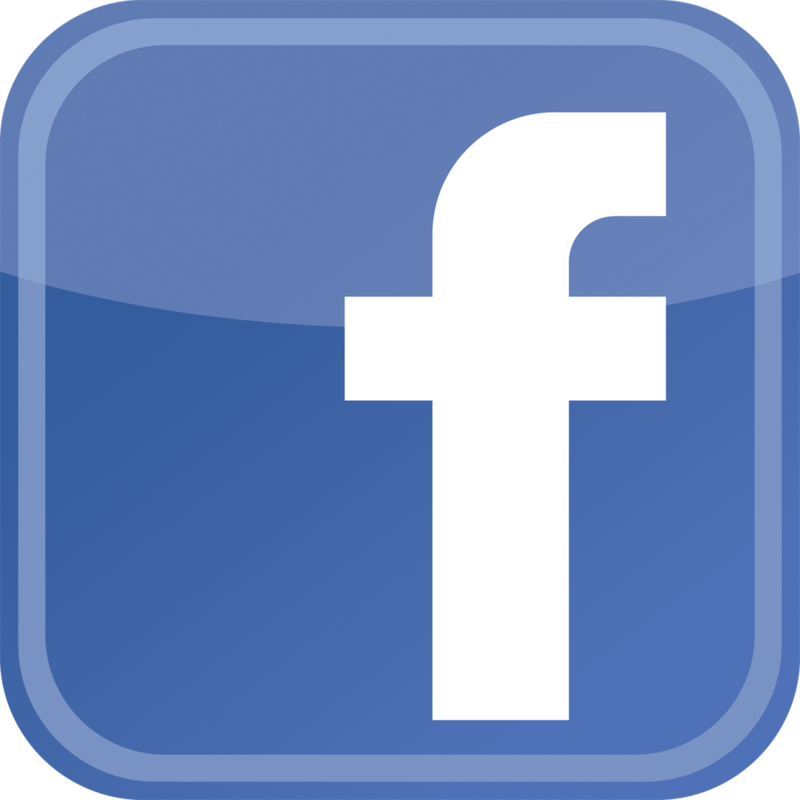 Facebook-FB reported fourth quarter revenues jumped 30% to $16.9 billion with net income up 61% to $6.9 billion and EPS up 65% to $2.38. The prior year earnings include a charge of $2.3 billion, or $.77 per share, related to U.S. tax reform. The company estimates that more than 2.7 billion people now use Facebook, WhatsApp, Instagram or Messenger, with more than 2 billion people using at least one of the company’s services every day. Daily active users were 1.52 billion on average, an increase of 9% year over year. Monthly active users were 2.32 billion, an increase of 9%. Mobile advertising revenue represented approximately 93% of advertising revenue for the quarter up from 89% in the prior year period. There are more than seven million advertisers active on Facebook and Instagram. Headcount was 35,587 as of year-end, an increase of 42% year-over-year. Revenue growth was strong across all geographic region led by 34% growth in Asia Pacific followed by 31% growth in North America and 28% growth in Europe. For the full fiscal 2018 year, revenue increased 38% to $55.0 billion with net income up 39% to $22.1 billion and EPS up 40% to $7.57. Return on shareholders’ equity for the year was a likeable 26%. During the year, Facebook posted $15.4 billion in free cash flow, down 12%, as the company invested $13.9 billion in capital expenditures to build out its data centers, servers, network infrastructure and office facilities. The company repurchased $12.9 billion of its shares during the year and the Board approved an additional $9 billion repurchase program in December. 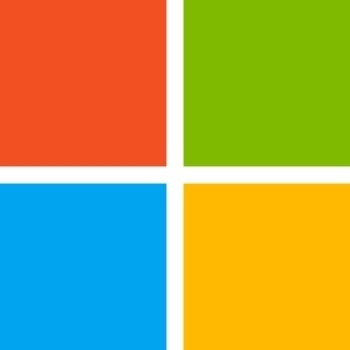 Microsoft-MSFT reported second fiscal quarter revenue increased 12% to $32.5 billion with net income of $8.4 billion and EPS of $1.08 compared to a loss of $6.3 billion, or $0.82 per share, reported in 2017. Excluding the impact of U.S. tax reform, net earnings and EPS increased 14% and 15%, respectively. By business segment, More Personal Computing revenue booted up 7% to $13 billion, driven by growth in Surface and Gaming. Search advertising revenue grew 14% while Windows OEM revenue declined by 5% due to computer chip shortages. Intelligent Cloud revenue increased 20% to $9.4 billion, driven by server products and cloud services. Azure revenue increased 76% while server products revenue grew 3%, powered by demand for premium versions and hybrid solutions and the inclusion of GitHub. Enterprise mobility installed base grew 57% to over 94 million seats. Productivity and Business Processes revenue increased 13% to $10.1 billion, driven by Office 365 and LinkedIn. Cash flow from operations during the quarter increased 13% to $8.9 billion while free cash flow dipped 2% to $5.2 billion on higher capital investments to support future growth in Microsoft’s cloud business. During the quarter, through dividend payments of $3.5 billion and share repurchases of $6.4 billion, Microsoft returned nearly $10 billion to shareholders, up 90% year-over-year, as the company works toward its goal of completely offsetting dilution from the GitHub acquisition. Microsoft ended the quarter with nearly $130 billion in cash & investments and $70 billion in long-term debt on its strong balance sheet. Looking ahead to the third fiscal quarter, Microsoft expects revenues in the $29.4 billion to $30.1 billion range, up 10% to 12% from 2018. 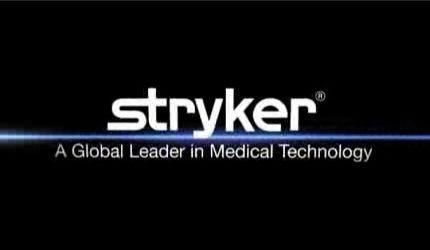 Stryker-SYK reported fourth quarter sales increased 9.4% to $3.8 billion with net earnings and EPS of $2.07 billion and $5.44, respectively, compared with a loss of $249 million, or $0.66 per share, last year. Excluding the impact of U.S. tax reform and other one-time items, net earnings and EPS increased 11% to $828 million and $2.18, respectively. By geography, domestic sales increased 10% to $2.8 billion and international sales increased 7% to $1 billion. By business segment, Orthopaedics sales increased 7% organically to $1.4 billion, driven by growth in Trauma & Extremities and Knees. MAKO robotic sales remained strong with a record 54 robots installed during the quarter, 40% of which were installed in competitive accounts, bringing the total robots installed to 642. Stryker certified an additional 250 trained MAKO surgeons during the quarter, bringing the total number of trained surgeons to 1,600. MedSurg and Neurotechnology & Spine sales increased 11% organically to $1.7 billion and $700 million, respectively. For 2018, Stryker reported a healthy 9% increase in sales to $13.6 billion with net income and EPS of $3.6 billion and $9.34, respectively, compared with 2017 net income and EPS of $1.0 billion and $2.68, respectively. Excluding the impact of U.S. tax reform and other one-time items, net earnings and EPS increased nearly 13% to $2.8 billion and $7.31, respectively. During 2018, Stryker generated $2.0 billion in free cash flow and returned more than $1 billion to shareholders through dividends of $703 million and share repurchases of $300 million. Stryker ended the year with $3.7 billion in cash & investments and $8.5 billion in long-term debt on its healthy balance sheet. During 2018, Stryker generated a strong 30.3% return on shareholders’ equity. Looking ahead to the full 2019 year, management expects organic net sales growth in the range of 6.5% to 7.5% with adjusted EPS in the $8.00 to $8.20 range, up 11% from 2018 at the mid-point. Gentex-GNTX reported fourth quarter sales dimmed by 1.3% to $453.4 million with net income falling 18.5% to $106.3 million and EPS down 11% to $0.41 on fewer shares outstanding. During the fourth quarter, plant shutdowns and changes to production schedules at OEM’s, as well as order adjustments at certain Tier 1 customers, negatively impacted quarterly unit shipments and revenue. Actual vehicle production in Europe, North America, Japan, Korea and China declined by 6% during the quarter versus a 2% increase projected at the beginning of the fourth quarter. Total Auto-Dimming Mirror units shipped increased 2% to 10,225 units on an 11% increase in North American mirror shipments to 3,359 units and a 2% decline in international mirror shipments to 6,866 units. Gross margins fell to 37.9% from 39.2% last year, squeezed by tariffs that became effective during the third quarter. During the quarter, Gentex generated $137 million in free cash flow, up 5% from last year’s fourth quarter. The company repurchased 3.3 million of its shares during the quarter at an average price of $21 per share. For 2018, Gentex’s sales increased 2% to $1.8 billion with net income up 7.6% to $438 million and EPS up 15% to $1.62. A lower effective tax rate in 2018 (16% versus 24% in 2017) drove the 2018 earnings gain. During 2018, Gentex recorded an impressive 23.5% return on shareholders’ equity and generated $466.4 million in free cash flow, up 18% from 2017. Gentex repurchased 26.4 million shares during 2018 at an average price of $22.37 per share. As of December 31, 2018, 8.8 million shares remained available for repurchase under the current share repurchase program. 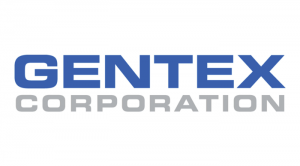 Gentex ended the year with more than $524 million in cash & investments and $55 million in long-term debt on its super strong balance sheet. Based on a projected 1% increase in total light vehicle production, Gentex expects 2019 revenues in the range of $1.83 billion to $1.93 billion. Gross margins are expected in the 36% to 37% range and operating expenses in the $195 million to $200 million range, up 8% at the midpoint from 2018. Gentex estimates its 2019 effective tax rate in the 16% to 18% range. 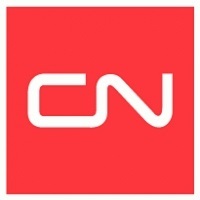 Canadian National Railway-CNI reported record fourth quarter revenues rose 16% to C$3.8 billion with net income declining 56% to C$1.1 billion and EPS dropping 55% to C$1.56. Excluding the impact of U.S. tax reform and other one-time items, adjusted net income rose 22% with adjusted EPS up 24%. The increase in revenues was mainly attributable to higher volumes of petroleum crude and Canadian grain, freight rate increases, higher applicable fuel surcharge rates, and the positive translation impact of a weaker Canadian dollar. Revenue ton miles (RTM) increased 12% during the quarter with carloadings up 5% to 1,537 thousand. The company’s operating ratio improved 80 basis points to 61.9%. For the full fiscal 2018 year, sales increased 10% to C$14.3 billion with net income down 21% to C$4.3 billion and EPS down 19% to C$5.87. Return on shareholders’ equity for the year was a healthy 24.5%. During the year, CNI generated C$2.5 billion in free cash flow and returned C$3.3 billion to shareholders through C$2.0 billion in share repurchases and C$1.3 billion in dividend payments. The Board approved an additional 22 million share repurchase program starting February 1, 2019. For fiscal 2019, management expects to deliver high single-digit volume growth in terms of revenue ton miles and EPS growth in the low double-digit range compared to adjusted EPS of C$5.50 in 2018. ADP-ADP reported fiscal second quarter revenues increased 8% to $3.5 billion with net earnings decreasing 17% to $558 million and EPS down 16% to $1.27. The prior year earnings included a one-time benefit of $233 million, or $.52 per share, benefit related to U.S. tax reform. Excluding the impact of tax reform and other one-time items, adjusted EPS increased 30% to $1.34. Employer Services revenues increased 7% to $2.5 billion on a 2.3% increase in pays per control. PEO Services revenues gained 12% to $1.1 billion, boosted by a 9% increase in average worksite employees to 545,000. Interest in funds held for clients increased 21% to $129 million on a 5% increase in average funds held for clients to $23.6 billion and a 30 basis point increase in the average interest earned to 2.2%. 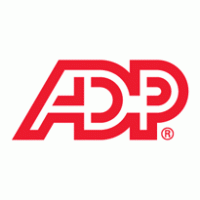 During the first six months of the fiscal year, ADP generated $852 million in free cash flow and ended the period with $2.8 billion in cash and $2 billion in long-term debt on its strong balance sheet. During the first half of the year, ADP returned $1.1 billion to shareholders through dividends of $605 million and share buybacks of $527 million. For the full fiscal year, ADP expects revenues to increase 6% to 7% on a 5% to 6% increase in Employer Services revenues and a 9% to 10% increase in PEO revenues. U.S. pays per control are expected to increase by 2.5%. Average client funds balances are expected to increase 4% and the yield on the client funds portfolio is expected to increase 30 basis points to 2.2%, resulting in a 19% to 21% increase in client funds interest revenue to $556 million to $566 million. Adjusted EPS is expected to increase 17% to 19% up from previous guidance of 15% to 17%. 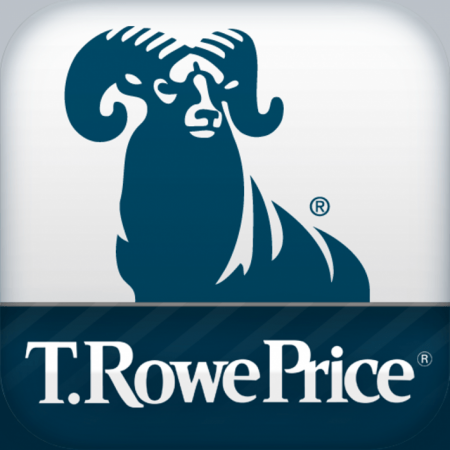 T. Rowe Price-TROW reported fourth quarter revenues rose 0.6% to $1.3 billion with net income up 1.4% to $351.9 million and EPS up 2.9% to $1.41. For the full 2018 year, revenues rose 10.7% to $5.4 billion with net income up 22.7% to $1.8 billion and EPS up 21.8% to $7.27.Return on shareholders’ equity improved to 29.3% in 2018. Net client outflows during the fourth quarter were $8.4 billion due to elevated market volatility-driven redemptions similar to broad industry net cash flow trends. For the full year, net client inflows of $13.2 billion occurred. Assets under management (AUM) ended the year at $962 billion, a decline of 3% for the year due to steep equity declines especially in December. Organic AUM increased 1.3% for the year driven by diversified inflows across distribution channels and geographies, the strength of the multi-asset franchise and positive flows into international equity and fixed-income investments. The firm employed 7,022 associates at year end, an increase of 2% compared to the prior year. In 2019, operating expense growth is expected in the range of 4%-7% with capital expenditures expected to increase 19% to about $200 million for planned technology investments. T. Rowe Price remains debt-free with ample liquidity including cash and investments of $3.0 billion. During 2018, the company returned 100% of its net income to shareholders through dividends and share repurchases with 10.8 million shares repurchased, of 4.4% of shares outstanding, for $1.1 billion at an average price of $101.48 per share. Biogen-BIIB reported a 6.6% increase in fourth quarter revenues to $3.5 billion with net earnings of $947 million and EPS $4.73 compared to a loss of $166 million, $1.40 per share, in the prior year. Global sales of TECFIDERA—the most prescribed oral therapy for MS—were $1.1 billion, up 3%. Sales of TYSABRI—the market leading high efficacy therapy for MS—were $464 million, flat with last year, on a 2% increase in U.S. sales which were offset by a 1% decline in international sales. Sales of Biogen’s Interferon MS therapies declined 7% to $597 million. Global sales of SPINRAZA—the first drug approved to treat children and adults with spinal muscular atrophy (SMA)—were $470 million, up from $363 million last year. Biogen’s biosimilar sales increased 28% to $156 million with more than 100,000 patients using Biogen’s biosimilars. For the full fiscal 2018 year, sales increased 9.6% to $13.5 billion with net income up 75% to $4.4 billion and EPS up 81% to $21.58. Return on shareholders’ equity for the year was a healthy 34%. During the year, Biogen generated $6.2 billion in cash flow from operations, ending the year with $3.5 billion in cash and $5.9 billion in notes payable on its strong balance sheet. The company repurchased 14.8 million of its shares for $4.4 billion and has $2 billion remaining for additional share repurchases under the current Board approved program. For fiscal 2019, management expects revenues of $13.6 to $13.8 billion with EPS in the range of $26.75 - $27.65 reflecting earnings growth of 26% at the midpoint. Apple-AAPL reported fiscal first quarter revenues declined 5% to $84.3 billion with product sales down 7% to $73.4 billion and services sales up 19% to a record $10.9 billion. International sales accounted for 62% of total revenues. As previously reported, revenues came in below expectations for the quarter due to the timing of new iPhone launches, foreign exchange headwinds, supply constraints and challenging macroeconomic conditions especially in Greater China, where sales declined 27% during the quarter to $13.1 billion. iPhone sales declined 15% during the quarter to $52 billion which was impacted by the lower sales in China, fewer subsidies for the phones worldwide and lower than expected upgrades as replacement batteries resulted in customers holding onto their old phones longer. Net earnings were relatively flat at $20 billion during the quarter with EPS up 7% to a record $4.18. Mac sales increased 9% during the quarter to a record $7.4 billion thanks to strong demand for the MacBook Air and MacBook Mini. iPad sales increased 17% during the quarter to a record $6.7 billion, representing the fastest iPad growth in six years, due to the new iPad Pro, the most powerful mobile device ever. Wearables, Home and Accessories sales jumped 33% during the quarter to $7.3 billion, thanks to strong demand for the Apple Watch and Airpods with the company being supply constrained during the quarter. Services sales increased 19% to a record $10.9 billion as the active installed base of devices reached an all-time high of 1.4 billion during the quarter, growing in each geographic segment. Active iPhone devices increased 75 million in the last 12 months to 900 million devices with the iPhone scoring 99% satisfaction ratings for the new products launched during the quarter. Apple’s subscriptions to its services increased by 120 million over the last 12 months to 360 million subscriptions at quarter end with the company expecting paid subscriptions to reach 500 million by 2020. Free cash flow declined 8% during the quarter to $23.3 billion with Apple ending the quarter with $245 billion in cash and investments or cash, net of debt, totaling $130 billion. During the first quarter, Apple paid $3.6 billion in dividends and repurchased $8.8 billion of its common stock. Since inception of the share repurchase program, Apple has repurchased $250 billion of its shares. Apple will update its capital allocation strategy in the next quarter. With management “optimistic about the company’s future and seeing great value in the stock,” further share repurchases are likely. Apple expects to announce “exciting” new product launches later this year. 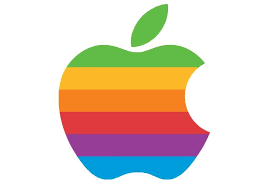 For the second fiscal quarter, Apple expects revenues between $55 billion to $59 billion, gross margin between 37% and 38%, operating expenses between $8.5 billion and $8.6 billion, other income of $300 million and a tax rate of about 17%. Polaris-PII reported fourth quarter revenues rose 14% to $1.6 billion with net income and EPS approximately tripling to $91.5 million and $1.47, respectively, primarily due to tax reform. On an adjusted basis, fourth EPS rose 19% to $1.83. For the full 2018 year, revenues rose 12% to $6.1 billion with net income up 94% to $335 million and EPS up 95% to $5.24. On an adjusted basis, EPS was up 29% for the year to $6.56. Return on shareholders’ equity in 2018 was 38.7%, reflecting a boost from higher leverage. During the year, Polaris acquired Boat Holdings which contributed to the financial results but also increased the company’s debt load significantly. Free cash flow declined 37% during the year to $252 million due to a big jump in inventories and higher capital expenditures. Polaris expects capital expenditures to rise further in 2019. During the year, the company paid $149 million in dividends and repurchased $349 million of its common stock. During 2019, management expects to give debt repayment a priority over share repurchases. The company announced its adjusted sales and earnings guidance for the full year 2019 with adjusted sales expected to increase in the range of 11% to 13% and adjusted net income expected to decline 5% to 9% to the range of $6.00 to $6.25 per share due to the impacts of tariffs, adverse foreign exchange and higher interest rates. 3M-MMM posted fourth quarter sales of $7.9 billion, down 0.6% from last year, with net income of $1.3 billion, up from $523 million last year, and EPS of $2.27, up from $0.85 last year. Excluding the impact from U.S. tax reform and other one-time items, adjusted EPS increased 10% to $2.31. Organic sales grew across all geographic areas and business groups. Organic sales increased 4.4% in the U.S., 5% in Latin America/Canada, 1.3% in EMEA and 2% in Asia Pacific. By business group, Industrial organic sales increased 2.5%, Safety & Graphics increased 3.3%, Health Care increased 4.8%, Electronics & Energy increased 4.1% and Consumer increased 1.9%. During the quarter, 3M generated $1.7 billion in free cash flow, up 23.3% from last year, representing an exceptional 128% conversion ratio. 3M returned $2.1 billion to shareholders during the quarter via dividends and gross share repurchases. For the year, 3M reported sales of $32.8 billion, up 3.5%, with net income of $5.35 billion, up 10.1%, and EPS of $8.89, up 12.1%. During 2018, 3M generated free cash flow of $4.86 billion, down slightly from last year, representing a 91% free cash flow conversion rate, squeezed by U.S. tax reform and a legal settlement. During 2018, 3M returned $8.1 billion to shareholders via share repurchases of $4.9 billion and dividends of $3.2 billion. 2018 marked the 60th consecutive year of annual dividend increases for 3M shareholders. During 2018, 3M generated a 54.3% return on shareholders’’ equity, boosted its $11.4 billion net debt position. Given slowing growth in its automotive and electronics end markets, especially in China, 3M lowered expected 2019 organic sales growth to 1% to 4% from 2% to 4%. EPS are expected in the range of $10.45 to $10.90, up 18% to 23% year-on-year. During 2019, the company expects to generate $5.8 billion to $6.7 billion in free cash flow and buyback $2 billion to $4 billion of its shares while investing $1.7 billion to $1.9 billion in capital expenditures, up 8% to 21% from 2018. 3M expects price increases to offset the impact of tariffs during 2019. 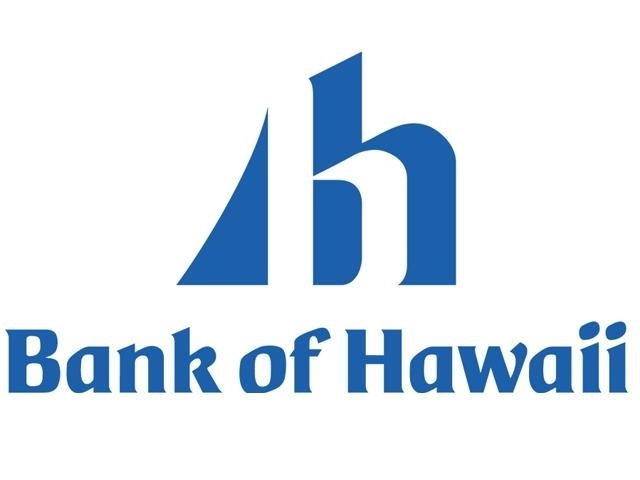 Bank of Hawaii-BOH reported fourth quarter net income declined 5% to $53.9 million with EPS dropping 4% to $.62. Noninterest expenses in the fourth quarter included $4.1 million in one-time significant items related to employee separation, medical and legal expenses. The return on average assets for the fourth quarter was 1.26% compared to 1.0% in the prior year period. The return on average equity in the fourth quarter also improved to 17.05% compared to 13.85% in the prior year period. For the full year 2018, net income increased 19% to $219.6 million with EPS jumping 21% to $5.23. The return on average assets for the full year increased to 1.29% compared with 1.11% in 2017 with the return on average equity increasing to 17.63% in 2018 compared to 15.27% in 2017. During the year, loan and deposit balances continued to grow and net interest margin expanded to 3.05%, an increase of 12 basis points. The net interest margin is expected to continue to increase in 2019 by 3-4 basis points each quarter. The efficiency ratio for the full year was 56.7% compared to 55.7% in 2017. During 2018, Bank of Hawaii’s asset quality, capital and liquidity all remained strong. General economic conditions in Hawaii remained healthy during 2018 led by record-high visitors, low unemployment, rising real estate prices and an active construction industry. During the fourth quarter, the company repurchased 325,400 shares of common stock at a cost of $24.9 million under its share repurchase program at an average cost of $76.63 per share. Subsequent to year end, the company repurchased an additional 178,000 shares at an average cost of $72.68 per share. From the beginning of the share repurchase program initiated in July 2001, the company has repurchased 55.3 million share for nearly $2.2 billion at an average cost of $39.14 per share. The Board of Directors recently expanded the share repurchase program authorization by an additional $130 million. Management’s capital allocation strategy is to pay out approximately 50% of net income in dividends to shareholders, maintain adequate capital ratios and use excess funds for share repurchases. 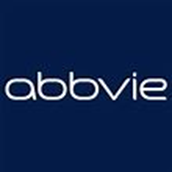 AbbVie-ABBV announced that the U.S. Food and Drug Administration (FDA) approved the use of IMBRUVICA® (ibrutinib) in combination with obinutuzumab (GAZYVA®) for adult patients with previously untreated chronic lymphocytic leukemia/small lymphocytic lymphoma (CLL/SLL). IMBRUVICA is jointly developed and commercialized by Pharmacyclics LLC, an AbbVie company, and Janssen Biotech, Inc, a Johnson & Johnson-JNJ company. "We are living in a time of significant advances in cancer treatment, particularly in blood cancers, and this latest IMBRUVICA FDA approval is an example. I am proud that we can now give physicians and patients a new option to treat CLL and SLL without the need for chemotherapy," said Danelle James, M.D., M.A.S., Head of Clinical Science, Pharmacyclics LLC, an AbbVie company. AbbVie-ABBV reported fourth quarter revenue rose 7.3% to $8.3 billion with the company reporting a net loss of $1.8 billion or ($1.23) per share. The loss reflects the recent partial $4.11 billion impairment charge related to intangible assets acquired as part of the 2016 acquisition of Stemcentrx. AbbVie will monitor the remaining $1 billion of intangible assets for further impairment. Excluding specified items, adjusted fourth quarter EPS increased 28% to $1.90. During the fourth quarter, global HUMIRA sales increased 0.5% to $4.9 billion. In the U.S., HUMIRA sales grew 9.1% while international sales declined 14.8% operationally due to direct biosimilar competition in certain international markets during the quarter. During the quarter, global revenues from the hematologic oncology portfolio were $1.13 billion, an increase of 50%, including a 42% increase in global IMBRUVICA revenues to $1.0 billion. Fourth quarter global HCV sales were $862 million with other key products generating $1.3 billion in sales. For the full 2018 year, AbbVie’s revenues increased 16% to $32.8 billion with net income up 7% to $5.7 billion and EPS up 11% to $3.66. On an adjusted basis, EPS grew 41% to $7.91 driven by an 8% increase in full year global HUMIRA sales to $19.9 billion, representing 61% of total sales. The loss of patent protection for HUMIRA in international markets is expected to result in a 30%-35% drop in international HUMIRA sales in fiscal 2019 due to aggressive discounting by biosimilar competitors. Despite absorbing approximately $2.4 billion in erosion of sales due to competition, AbbVie expects sales in 2019 to increase 1% on a constant currency basis with the company generating double-digit EPS growth in the range of $7.39 to $7.49 even as the firm funds five major new product launches during the year, each with multibillion sales potential. Starbucks-SBUX brewed up 9% revenue growth to a record $6.6 billion in their fiscal first quarter. Global comparable stores were up 4% in the quarter driven by a 3% increase in average ticket. Americas and U.S. comparable store sales increased 4% with transactions flat. China comparable store sales increased 1% with transactions down. Total China sales increased 18% during the quarter due to new store openings. At the end of the quarter, Starbucks operated 3,700 stores in 158 cities in China. Starbucks is celebrating its 20th anniversary of operating in China but still considers the business in China to be in the early innings. During the quarter, Starbucks opened 541 net new stores yielding 29,865 stores at the end of the quarter. Over two-thirds of the new store openings during the quarter were outside the U.S. and approximately 50% were licensed. For the full fiscal 2019 year, Starbucks expects to open about 2,100 net new stores globally with capital expenditures approximating $2 billion. he company’s operating margin declined 310 basis points to 15.3% primarily due to streamline-driven activities and employee investments. Operating income declined 9% during the quarter to $1 billion with net income and EPS down 66% and 61%, respectively, to $761 million and $.61, lapping a significant gain in the prior year period from the acquisition of a joint venture. For fiscal 2019, management expects sales to grow 5% to 7% with global comparable sales in the range of 3% to 4%. Operating margins are expected to be down slightly and EPS are expected in the range of $2.32-$2.37 for the full year. Management reaffirmed its goal of returning $25 billion in cash to shareholders through dividends and share repurchases by 2020. With the company distributing $9 billion in fiscal 2018 via dividends and buybacks and a $5 billion accelerated share repurchase program completed in the first fiscal quarter of 2019, the company is well on its way to meeting that goal. F5 Networks – FFIV reported first fiscal quarter revenue of $543.8 million up 4% from last year, with operating income increasing 11% to $158 million, net income increasing 48% to $130.9 million and EPS increasing 53% to $2.16. Sales growth was driven by continued momentum in software solutions, which drove year over year product revenue growth for the third consecutive quarter. Product revenues, which accounted for 43% of total sales, grew 3% to $234 million. Services revenues, which accounted for 57% of total sales, increased 5% to $310 million. Gross profit margins increased 80 basis points to 84.1%, driven by the increased software and services sales. During the quarter, F5 Networks generated $198 million in operating cash flow, up 4%, and $177 million in free cash flow, down 4% from last year on higher capital investments. During the quarter, the company repurchased $101 million of its shares at an average cost of $177.64 per share. 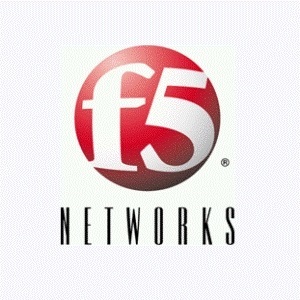 F5 Networks ended the quarter with $1.55 billion in cash and investments on its debt-free balance sheet. Looking ahead to the second quarter, management expects sales between $543 million and $553 million, up 3% from last year at the midpoint, with adjusted earnings per share of $2.53 to $2.56, up 10% at the mid-point. "As customers deploy applications across complex hybrid and multi-cloud environments, the need for consistent security and reliable performance is becoming increasingly evident," said Francois Locoh-Donou, F5 Networks' President and CEO. "We believe F5 is uniquely positioned to solve this growing challenge for our customers with the multi-cloud application services their applications demand." United Technologies-UTX reported a stronger than expected fourth quarter with revenues up 15% to $18 billion, including 11% organic growth. Net income soared 73% to $686 million and EPS rose 66% to $.83 in the fourth quarter with adjusted EPS up 22% to $1.95. During the fourth quarter, commercial aftermarket sales were up 11% at Pratt & Whitney and up 8% organically at Collins Aerospace Systems. Otis new equipment orders were flat organically and equipment orders at Carrier increased 3% organically. For the full year 2018, revenues increased 11% to $66.5 billion, including 8% organic growth which was the best organic sales growth in over a decade. Net income for the year increased 16% to $5.3 billion with EPS up 14% to $6.50. In 2018, for the first time in over 30 years, Pratt & Whitney manufactured more than 1,000 large commercial and military engines as the aerospace market remains strong. Collins Aerospace was formed by the accretive acquisition of Rockwell Collins with the acquisition already performing better than expected. Carrier launched more than 100 new products during 2018. At Otis, the number of units under maintenance contract exceeded two million for the first time in the company’s history. Return on shareholders’ equity for the year was 13%. Free cash flow increased 22% to $4.4 billion during the year with the company paying $2.2 billion in dividends and repurchasing $325 million of its common shares. Management provided the following 2019 outlook with sales expected in the range of $75.5 billion to $77.0 billion, including organic sales growth of 3% to 5%. Adjusted EPS for 2019 is expected in the range of $7.70 to $8.00 with free cash flow of $4.5 billion to $5.0 billion expected. The economic environment in 2019 is looking good with worldwide GDP expected to increase 2.9% with China leading the way with 6.3% GDP growth. North America should generate GDP growth of about 2.4% with housing in the U.S. expected t rise, inflation remaining in check and consumption strong. UTX is seeing lower order rates in Europe with Western Europe’s GDP only expected to grow 1.4% United Technologies is making good progress in separating the company into three industry-leading firms as previously announced which is expected to be completed by May 2020. Separation costs are expected in the range of $2.5 billion to $3.0 billion primarily related to tax and transaction costs and debt refinancing. Johnson & Johnson-JNJ reported fourth quarter revenues rose 1% to $20.4 billion with net income of $3 billion and EPS of $1.12. On an adjusted basis (excluding intangible amortization expense and special items), net income increased 12.5% to $5.4 billion with EPS up 13.2% to $1.97. For the full year, revenues rose 7% to $81.6 billion with net income up 2% to $15.3 billion and EPS of $5.61. On an adjusted basis, net earnings increased 10% to $26.7 billion with EPS up 12% to $8.18. Worldwide Pharmaceutical sales drove the growth for the year by increasing 12.4% to $40.7 billion thanks to market share gains and strong performance in oncology and continued growth in immunology products. Seven key products recorded double-digit growth including 39% growth in Imbruvica, a treatment for a type of blood or lymph node cancer. Worldwide Medical Device sales increased 1.5% for the year to $27 billion with accelerating sales momentum fueled by interventional solutions, advanced surgery and vision products. Worldwide Consumer sales increased 1.8% for the year to $13.9 billion driven by premium beauty products and strong U.S. over-the-counter consumption and market share gains. JNJ has a blockbuster portfolio with 26 platforms/products generating $1 billion or more in annual sales including 12 platforms/products generating $2 billion or more in annual sales. JNJ invested about $11 billion in research and development during the year to sustain its investments in innovation. Approximately 25% of sales has come from products launched in the last five years. In addition, the company made 13 acquisitions and licensing agreements during the year. JNJ’s long-term strategy is to grow sales faster than the market; grow earnings faster than sales; generate a strong dividend yield and create value through strategic acquisitions and partnerships. JNJ boasts 35 consecutive years of adjusted operational earnings growth and 56 consecutive years of dividend increases while maintaining an AAA-rated balance sheet with net debt of $10.3 billion ($19.7 billion in cash and $30.5 billion of debt as of 12/31/18). Over the last 10 years, the company has returned approximately 50% of free cash flow to shareholders through dividends and share repurchases. Free cash flow increased 4% in 2018 to $18.6 billion with a new $5 billion share repurchase program announced. JNJ has completed about 20% of the repurchase program by buying $900 million of its common stock. The company announced its outlook for fiscal 2019 with sales expected in the range of $80.4 billion to $81.2 billion, reflection operational growth in the range of 0% to 1.0% and adjusted operational growth of 2% to 3%. The company also announced adjusted earnings guidance of $8.50-$8.65 for the full year reflecting expected operational growth in the range of 5.7% to 7.6%. Johnson & Johnson-JNJ announced that Janssen Pharmaceuticals, Inc., member of the Johnson & Johnson Family of Companies, entered into a research study in collaboration with Apple Inc.-AAPL to investigate whether a new heart health program using an app from Johnson & Johnson in combination with Apple Watch's irregular rhythm notifications and ECG app can accelerate the diagnosis and improve health outcomes of the 33 million people worldwide living with atrial fibrillation (AFib), a condition that can lead to stroke and other potentially devastating complications. In the U.S. alone, AFib is responsible for approximately 130,000 deaths and 750,000 hospitalizations every year. The study aims to analyze the impact of Apple Watch on the early detection and diagnosis of AFib, and the potential to improve outcomes including the prevention of stroke. A multi-year research program will be launched later in 2019. This large-scale program will occur in the U.S. only, and will be designed as a pragmatic randomized controlled research study for individuals age 65 years or older. Fastenal-FAST reported fourth quarter revenues rose 13% to $1.2 billion with net income up 11% to $168.8 million and EPS up 11% to $.59. The increase was driven by higher unit sales related primarily to continued strength in underlying market demand and growth from industrial vending and Onsite locations. Sales of fastener products grew 11% on a daily basis, representing 34% of sales in the fourth quarter, with sales of non-fastener products growing 15%, representing 66% of fourth quarter sales. Operating leverage remained strong with operating margin expansion of 30 basis points during the quarter. For the full year, revenues rose 13% to $5 billion with net income up 30% to $751.9 million and EPS up 31% to $2.62 benefiting in part from a lower tax rate. Return on shareholders’ equity improved to a strong 32.7% for the year. Free cash flow increased 15% during the year to $664.7 million with the company repurchasing $103 million of its common stock and paying $441.9 million in dividends. Fastenal also announced a 7.5% increase in its first quarter 2019 dividend to $.43 per share with the dividend yielding a solid 3%. Over the past decade, Fastenal has paid out $2.9 billion in dividends and repurchased 14 million of its shares for $600 million at an average price of $42.86 per share. Fastenal’s long-term goal is to grow the business from $5 billion to $10 billion in revenues in the years ahead while expanding operating margins and generating a high return on invested capital which should continue to make the company a solid investment. 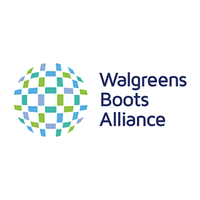 Walgreens Boots Alliance-WBA and Microsoft-MSFT have joined forces to develop new health care delivery models, technology and retail innovations to advance and improve the future of health care. The companies will combine the power of Microsoft Azure, Microsoft's cloud and AI platform, health care investments, and new retail solutions with WBA's customer reach, convenient locations, outpatient health care services and industry expertise to make health care delivery more personal, affordable and accessible for people around the world. Through this agreement, Microsoft becomes WBA's strategic cloud provider, and WBA plans to migrate the majority of the company's IT infrastructure onto Microsoft Azure. This will include new transformational platforms in retail, pharmacy and business services, new capability in data and analytics, as well as certain legacy applications and systems. The company also plans to roll out Microsoft 365 to more than 380,000 employees and stores globally, empowering them with the tools for increased productivity, advanced security, internal collaboration and customer engagement. Microsoft-MSFT has been awarded a five-year contract worth $1.76 billion for delivering enterprise services for the Defense Department, Coast Guard and intelligence services. T. Rowe Price Group-TROW reported preliminary month-end assets under management of $962 billion as of December 31, 2018, a decline of 3% for the year. MSC Industrial-MSM reported fiscal first quarter revenues rose 8% to $831.6 million with 230 basis points of acquisitive growth from AIS. Net income jumped 25% to $74.2 million with EPS up 27% to $1.33. Earnings benefited from a lower tax rate with EPS up 5%, excluding the tax benefit. The operating margin declined about 50 basis points in the first quarter to 12.4% due to a lower gross margin, impacted by product cost increases and mix shifts, and the impact of the AIS acquisition. Free cash flow declined 8% during the quarter to $66.8 million due to working capital changes and higher capital expenditures. During the quarter, the company paid $35 million in dividends and repurchased approximately 778,000 shares for $63.5 million for an average cost of $81.71 per share. The company’s stockkeeping units increased 20,000 during the quarter to 1.7 million. The industrial economy remained strong in the fiscal first quarter with no signs of recession although there is currently more uncertainty due to trade and economic overhangs and the government shutdown. Tariffs have had no material impact on gross margin so far. The company expects to implement a meaningful price increase in the second quarter given significant supplier price increase activity. The price increase along with increased traction from the sale transformation efforts drives management’s expectations for significantly higher operating margins in the second half of the year. The company expects net sales for the second quarter to be between $817 million and $833 million with average daily sales at the midpoint expected to increase around 9% with EPS expected in the range of $1.22-$1.28. Gentex-GNTX announced that its latest generation of dimmable aircraft windows will be offered as optional content on the new Boeing 777X. Electronically dimmable windows ( EDWs) are an electrochromic-based sunlight and heat control solution that eliminates the need for traditional window shades and lessens dependence on AC systems. EDWs allow passengers to selectively darken the aircraft windows as desired while still enabling them to view the scenery outside. AbbVie-ABBV determined that it will record an impairment charge on intangible assets acquired as part of AbbVie’s 2016 acquisition of Stemcentrx, Inc. (Stemcentrx). On December 5, 2018, AbbVie announced the decision to stop enrollment for the TAHOE trial, a Phase 3 study evaluating rovalpituzumab tesirine (RovaT), an investigational antibody-drug conjugate targeting the cancer-stem cell-associated delta-like protein 3, as a second-line therapy for advanced small-cell lung cancer. Following this decision, AbbVie began an evaluation of the Stemcentrx-related intangible assets for impairment. The estimated net impact of this impairment and the related adjustment to contingent consideration liabilities is approximately $4 billion. AbbVie continues to evaluate information with respect to the Stemcentrx-related clinical development programs and will monitor the remaining $1 billion of intangible assets for further impairment. Private sector employment increased by 271,000 jobs from November to December according to the December ADP National Employment Report®. "We wrapped up 2018 with another month of significant growth in the labor market," said Ahu Yildirmaz, vice president and co-head of the ADP Research Institute. "Although there were increases in most sectors, the busy holiday season greatly impacted both trade and leisure and hospitality. Small businesses also experienced their strongest month of job growth all year." Mark Zandi, chief economist of Moody's Analytics, said, "Businesses continue to add aggressively to their payrolls despite the stock market slump and the trade war. Favorable December weather also helped lift the job market. At the current pace of job growth, low unemployment will get even lower." Apple-AAPL is lowering guidance for the fiscal 2019 first quarter with revenue of approximately $84 billion now expected with gross margin of approximately 38%. Operating expenses of approximately $8.7 billion are expected with other income/(expense) of approximately $550 million and a tax rate of approximately 16.5%. The number of shares used in computing diluted EPS is expected to be approximately 4.77 billion. The lower guidance is due to both macroeconomic and Apple-specific factors. Foreign exchange headwinds and economic weakness in emerging markets, notably China, adversely impacted results. In addition, the timing of iPhone launches, supply constraints of new products and fewer iPhone upgrades, due to fewer carrier subsidies and reduced pricing for iPhone battery replacements, also led to reduced revenue guidance. Apple did not foresee the magnitude of the economic deceleration, particularly in Greater China. In fact, most of the revenue shortfall to guidance, and over 100% of the year-over-year worldwide revenue decline, occurred in Greater China across iPhone, Mac and iPad. China’s economy began to slow in the second half of 2018. The government-reported GDP growth during the September quarter was the second lowest in the last 25 years. The economic environment in China has been further impacted by rising trade tensions with the United States. As the climate of mounting uncertainty weighed on financial markets, the effects appeared to reach consumers as well, with traffic to Apple retail stores and channel partners in China declining as the quarter progressed. Market data has shown that the contraction in Greater China’s smartphone market has been particularly sharp. Despite these challenges, Apple believes that their business in China has a bright future. On a more positive note, categories outside of iPhone (Services, Mac, iPad, Wearables/Home/Accessories) combined to grow almost 19% year-over-year. Apple’s installed base of active devices hit a new all-time high—growing by more than 100 million units in 12 months. Services generated over $10.8 billion in revenue during the quarter, growing to a new quarterly record in every geographic segment, and Apple is on track to achieve their goal of doubling the size of this business from 2016 to 2020. Wearables grew by almost 50% year-over-year, as Apple Watch and AirPods were popular among holiday shoppers; launches of MacBook Air and Mac mini powered the Mac to year-over-year revenue growth and the launch of the new iPad Pro drove iPad to year-over-year double-digit revenue growth. Apple also expects to set all-time revenue records in several developed countries, including the United States, Canada, Germany, Italy, Spain, the Netherlands and Korea. And, while Apple saw challenges in some emerging markets, others set records, including Mexico, Poland, Malaysia and Vietnam. Despite the revenue shortfall, Apple expects to report a new all-time record for Apple’s earnings per share. Apple’s profitability and cash flow generation are strong, and the company expects to exit the quarter with approximately $130 billion in net cash. Nike-NKE reported strong second quarter results with revenues and net income each jumping 10% to $9.4 billion and $847 million, respectively, with EPS up 13% to $.52. Revenues for the Nike Brand were up 14% on a constant-currency basis to $8.9 billion driven by accelerated growth across all geographies and in Nike Direct led by 41% digital growth. Revenue grew in nearly every key category led by Sportswear with well-balanced double-digit growth across footwear and apparel globally. Revenues for Converse rose 6% on a constant-currency basis to $425 million driven by growth in Asia and digital. Gross margin increased 80 basis points during the quarter to 42.8% driven by higher average selling prices and margin expansion in Nike Direct. Inventories were $5.4 billion as of quarter end, up 1%, thanks to effective inventory management and strong demand for key franchises resulting in healthy inventories across all geographies. Cash declined $2.3 billion to $4.0 billion as of quarter end due to cash used for share repurchases, dividends, repayment of notes and investments in infrastructure. During the second quarter, Nike repurchased 16.1 million shares for about $1.3 billion at an average price of about $80.74 per share. Since Nov. 2015, the company has repurchased 183.3 million shares for $11.3 billion as part of the four-year $12 billion share buyback program. In June 2018, the Board authorized a new four-year $15 billion share repurchase program. Despite high uncertainty on a macro level, Nike is seeing strong and sustainable growth for fiscal 2019 and beyond thanks to strong demand for the company’s innovative products. Nike raised their financial outlook with sales in fiscal 2019 expected to increase at a high single-digit rate to low double-digit rate on a constant- currency basis with gross margin expected to increase 70 basis points for the full year thanks to higher average selling prices and increased unit sales. 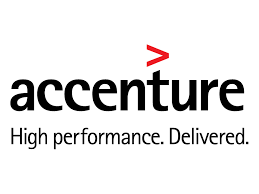 Accenture-ACN reported fiscal first quarter revenues increased 7% to $10.6 billion with net income and EPS up 9% to $1.3 billion and $1.96, respectively. New bookings for the quarter were $10.2 billion, with consulting bookings of $5.9 billion and outsourcing bookings of $4.3 billion. Free cash flow increased 9% during the quarter to $950 million with the company paying $933 million in dividends and repurchasing $788 million of its shares. The company has $5.2 billion remaining under the current share repurchase program. With a strong start to fiscal 2019, Accenture increased their outlook for revenue growth to the range of 6%-8% from the previous range of 5%-8%, with foreign exchange expected to have a negative 3% impact. The company also increased the lower end of EPS guidance and now expects EPS in the range of $7.01 to $7.25 compared to $6.98 to $7.25 previously. Operating margin is expected to expand 10 to 30 basis points to 14.5%-14.7%. For fiscal 2019, Accenture expects free cash flow to be in the range of $5.1 billion to $5.5 billion. Paychex-PAYX reported very good second quarter results and presented an optimistic outlook for the current selling season and beyond. Paychex’s second quarter revenues were up 7% from the prior year to $858.9 million. Management Solutions revenue for the quarter was $685.4 million, an increase of 5% over the prior year driven by increases in the client base and fees on retirement assets. The acquisition of the Lessor Group in February 2018 added 1% to the growth of this segment. PEO and Insurance Services increased 15% to $155.2 million driven by growth in clients, client worksite employees and an increase in the number of health and benefit applicants. Interest on Fund increased 31% to $18.3 million driven by higher average interest rates as average client held funds were flat, as increased wages and employees were offset by lower withholdings under the Tax Cuts and Jobs Act. Operating income increased 1% to 307.2 million from the prior year. The 10% growth in total expenses to $551.7 million significantly offset the growth in revenue. Expenses were driven by higher compensation costs, as Paychex increased headcount in operations and the sales force to support the growth in the business. Paychex has invested in several business initiatives, technology and the continued growth of the PEO business that tamped down the operating income in the quarter. The lower tax rates, 23.8% in 2018 versus 34.8% in 2017, allowed net income to jump 19% over the prior year to $235.8 million or $0.65 per diluted share. The financial positon of the company is strong with $769 million in cash and investments with only $57.3 million in short term borrowings. The balance sheet will change this quarter with the addition of $800 million in debt to finance its purchase of Oasis Outsourcing Group Holdings L.P. in the third quarter. Management was very optimistic about the current selling season and the opportunities for synergistic growth in the future with the acquisition of Oasis and the expanded geographies of the combined businesses. As Paychex heads into the important selling season, client retention rates are approaching all-time highs, new sale opportunities are trending up and pricing is holding to slightly improving. Adding these factors to a fundamentally optimistic macro business environment, and Paychex should meet or exceed its outlook for 2019 and beyond. Management did not see any signs of a negative trend in the next six months or more. The biggest headwind currently is a tight labor market where businesses are turning down work because they cannot find qualified workers. Management added that its growing PEO and HR services will provide a buffer in an economic downturn as regulations in the labor and employee benefits arena make it difficult for small and medium size shops to navigate growth or downturns without professional assistance. Total revenue for fiscal 2019 is expected to increase 6%-7% with adjusted net income expected to increase 11%-12%. Walgreens Boots Alliance-WBA rang up first fiscal quarter sales of $33.8 billion, up 10% from last year’s first quarter, with net income increasing 37% to $1.1 billion and EPS increasing 46% to $1.18. Excluding Rite-Aid acquisition-related expenses and other special items, adjusted net operating income declined by 4% to $1.7 billion, net income increased 7.6% to $1.4 billion and EPS increased 14% to $1.46, reflecting benefits from US tax reform and share repurchases. Retail Pharmacy USA sales were $25.7 billion, up 14%. Excluding the benefit from acquired Rite-Aid stores, organic sales growth was 4.6% during the quarter. Pharmacy sales, which accounted for 74.4% of the division’s sales in the quarter, increased 17.5%, primarily due to higher prescription volumes from the acquisition of Rite-Aid stores. Comparable pharmacy sales increased 2.8%. The division filled 289.8 million prescriptions, including immunizations, an increase of 11.4% over the year-ago quarter. Prescriptions filled in comparable stores increased 2%. Front-end retail sales increased 6% with comparable retail sales declining 3.2%, primarily due to the continued de-emphasis of select products such as tobacco and a difficult comparison with the prior year quarter. Retail Pharmacy International sales declined 6% to $2.9 billion, reflecting foreign currency headwinds and a weak retail environment in the UK. Pharmaceutical Wholesale sales dipped slightly to $5.7 billion, entirely due to a negative currency impact of 6.8%. During the quarter, the company generated $460 million in operating cash flow, and free cash flow was negative $10 million due to working capital investments and the integration of Rite-Aid stores. Walgreens Boots Alliance returned $1.3 billion to shareholders during the quarter through share repurchases of $912 million and dividends of $422 million. Management confirmed expected fiscal 2019 adjusted EPS constant currency growth of 7% to 12%. The company expects store and labor investments of about $150 million and share repurchases of $3 billion during 2019. During the earnings conference call, management announced the launch of its transformational cost management program which is targeting annual cost savings in excess of $1 billion by the end of the third year. 3M-MMM announced that it has entered into a definitive agreement to acquire the technology business of M*Modal, for a total enterprise value of $1.0 billion. M*Modal is a leading healthcare technology provider of cloud-based, conversational Artificial Intelligence (AI)-powered systems that help physicians efficiently capture and improve the patient narrative so they can spend more time with their patients and provide higher quality of care. Annual revenue of M*Modal’s technology business is estimated to be approximately $200 million. On a GAAP reported basis, 3M estimates the acquisition to be $0.10 dilutive to earnings in the first 12 months following completion of the transaction. Excluding purchase accounting adjustments and anticipated one-time expenses related to the transaction and integration, 3M estimates the acquisition to be neutral to earnings over the same period. The transaction is expected to close in the first half of 2019. Cisco-CSCO announced the intent to acquire privately-held Luxtera, Inc, a semiconductor company based in Carlsbad, California that uses silicon photonics to build integrated optics capabilities for webscale and enterprise data centers, service provider market segments, and other customers. Luxtera’s technology, design, and manufacturing innovation significantly improves chip scale and performance, while lowering costs. Cisco plans to incorporate Luxtera’s technology across its intent-based networking portfolio, spanning enterprise, data center and service provider markets. "With Cisco’s 2018 Visual Networking Index projecting that global Internet traffic will increase threefold over the next five years, our customers are facing an exponential demand for Internet bandwidth,” said David Goeckeler, executive vice president and general manager, Networking and Security Business at Cisco. “Optics is a fundamental technology to enable this future. Coupled with our silicon and optics innovation, Luxtera will allow our customers to build the biggest, fastest and most efficient networks in the world.” Cisco will pay $660 million in cash and assumed equity awards for the acquisition of Luxtera. The acquisition is expected to close in the third quarter of Cisco's fiscal year 2019. FactSet-FDS reported fiscal first quarter revenues rose 7% to $351.6 million with net income up 20% to $84.3 million and EPS up 23% to $2.17. These solid results were driven by 6.6% organic sales growth and operating margin expansion of 1.5% to 28.6% during the quarter. Adjusted EPS rose 15% during the quarter driven primarily by higher revenues and a lower effective tax rate of 12.1% compared to 18.3% last year. Management is encouraged by continued strong demand for their data and technology offerings despite stock market volatility. Annual Subscription Value (ASV) plus professional services was $1.42 billion as of 11/30/18. User count increased by 23,312 to 115,209 in the last quarter driven by an increase in wealth management users. Annual client retention was greater than 95% of ASV. When expressed as a percentage of clients, annual retention was 91%. Employee count was up 1.9% in the past 12 months to 9,600. Free cash flow declined 33% to $36.8 million due to working capital changes and a 60% increase in capital expenditures to $9.5 million as the company builds out new office space and upgrades technology. During the quarter, FactSet repurchased 275,000 shares for $60.4 million at an average price of $220 per share. Over the past 12 months, the company has returned $429 million to shareholders in the form of share repurchases and dividends. FactSet has $181.3 million remaining for future share repurchases. Management reaffirmed 2019 sales and earnings guidance with revenue expected in the range of $1.41 billion to $1.45 billion. GAAP EPS is expected in the range of $8.70-$8.90 with adjusted EPS expected in the range of $9.45-$9.65, representing 12% growth at the midpoint. Oracle-ORCL reported second quarter revenues were relatively flat at $9.6 billion but up 2% on a constant currency basis. Cloud services and license support led the growth with 3% growth, or 5% growth on a constant currency basis, to $6.6 billion. Software revenue grew 5% driving operating cash flow of more than $15 billion over the last four quarters. The $1 billion Software as a Service business delivered overall bookings growth of 35% in the quarter. The company ended the quarter with a backlog of $30.1 billion with 62% of the backlog expected to be recognized in the next 12 months. Net income rose 5%, or 9% on a constant currency basis, to $2.3 billion primarily due to a lower tax rate. Earning per share jumped 17% thanks to the company’s substantial share repurchase program. Free cash flow during the first half of the fiscal year increased 2% to $6.5 billion. Oracle paid $1.5 billion in dividends and repurchased $19.9 billion of its common stock during the first half, including 203 million shares in the second quarter for $10 billion at an average price of $49.26 per share. Over the last 12 months, the company has repurchased 602 million shares, reducing its shares outstanding by 12%. During the fiscal third quarter, revenue is expected to increase 2%-4% on a constant currency basis with non-GAAP EPS expected to increase 3%-5% in the range of $.83-$.85. Johnson & Johnson-JNJ announced that the Board of Directors has authorized the repurchase of up to $5 billion of the company's common stock. "Based on our continued strong performance and, more importantly, the confidence we have in our business going forward, the Board of Directors and management team believe that the company's shares are an attractive investment opportunity," said Alex Gorsky, Chairman and Chief Executive Officer. "Our strong cash flow enables us to simultaneously return value to shareholders through our regular quarterly dividend and share repurchases, while at the same time continuing to deploy capital that will further strengthen our robust enterprise pipeline and drive long-term growth." Johnson & Johnson reaffirms its full-year 2018 sales and adjusted earnings per share guidance of $81.0 to $81.4 billion and $8.13 to $8.18 per share, respectively. Alphabet-GOOGL plans to invest over $1 billion in capital improvements to establish a new 1.7 million square foot campus in New York, Google Hudson Square. New York City is now home to more than 7,000 employees, speaking 50 languages, working on a broad range of teams including Search, Ads, Maps, YouTube, Cloud, Technical Infrastructure, Sales, Partnerships and Research. With these recent investments in Google Chelsea and Google Hudson Square, Alphabet will have the capacity to more than double the number of Googlers in New York over the next 10 years. Starbucks-SBUX announced long-term growth plans of delivering double-digit growth in non-GAAP earnings per share. Starbucks reaffirms FY19 EPS guidance of $2.61-2.66, excluding non-recurring items, and sees FY19 revenues +5-7%. The revenue guidance ncludes ~2% net negative impact related to streamline-driven activities. The company expects global comparable store sales growth near the lower end of its current 3% to 5% range with plans to add ~2,100 net new Starbucks stores globally. They also announced the launch of Starbucks Delivers to nearly a quarter of company-operated stores with Uber Eats, beginning in 2019. The company is expanding Starbucks Delivers in China – on the Ele.me on-demand delivery platform – to 2,000 stores across 30 cities in China since launching three months ago. Starbucks accelerates cold beverage innovation strategy, including plans to roll out Nitro Cold Brew in all U.S. company-operated stores in FY19. Starbucks highlights efforts to amplify the brand globally while showcasing new products and market opportunities for Global Coffee Alliance with Nestlé. The board of directors of AbbVie-ABBV has authorized a $5 billion increase to AbbVie's existing stock repurchase program. Purchases may be made from time to time at management's discretion. T. Rowe Price Group-TROW reported preliminary month-end assets under management of $1.03 trillion as of November 30, 2018, up 4.1% from 12/31/17. The Board of Directors of Facebook-FB approved an increase of $9.0 billion in the amount authorized under the company’s share repurchase program. The Board has previously authorized repurchases of up to $15.0 billion of the Company’s Class A common stock under the program since it commenced in 2017, and this increase is incremental to the prior authorizations. Ulta Beauty-ULTA bagged a 16% increase in net sales to $1.56 billion with net income up 25% to $131.2 million and EPS up 28% to $2.18. Comparable sales for stores open at least 14 months plus e-commerce sales increased 7.8%, driven by 5.3% transaction growth and 2.5% growth in average ticket. Retail comparable sales increased 4.4%, including salon comparable sales growth of 3.5%. E-commerce sales increased 43% to $170.7 million, representing 340 basis points of the total comp sales increase of 7.8%. Operating margins declined by 130 basis points to 10.8%, squeezed by increases in wages and marketing expenses to support growth, partially offset by lower corporate overhead. The company’s tax rate declined to 23.1% from 35.8% last year, primarily due to tax reform. The company opened 42 new stores during the quarter, bringing the total number of stores to 1,163 and the square footage to 12,222, up 9.7% from last year. Year-to-date, Ulta Beauty generated $542.2 million in operating cash flow and $285.8 million in free cash flow. During the quarter, the company repurchased 451,424 shares of its common stock at a cost of $119 million, or $263.61 per average share. Year-to-date, Ulta Beauty has repurchased 1,582,118 shares at a cost of $379.4 million, or $239.81 per average share. As of 11/3/2018, $282.8 million remained under the $625 million share repurchase program announced in March 2018. Ulta Beauty ended the third fiscal quarter with $297 million in cash and no long-term debt on its blemish-free balance sheet. 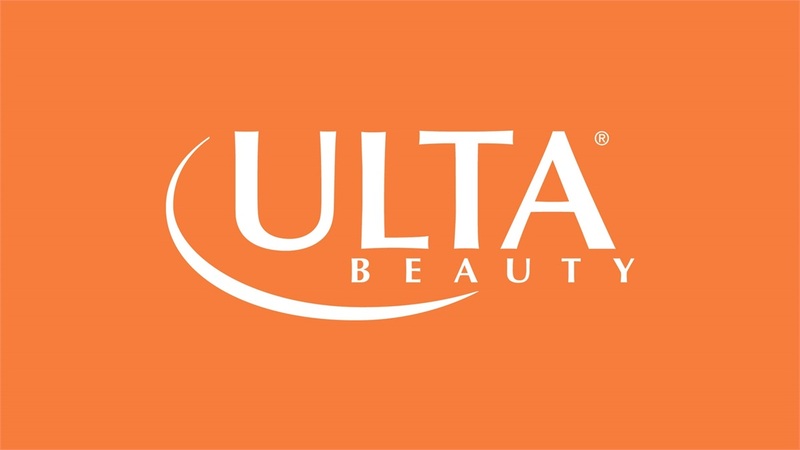 Looking ahead, Ulta Beauty affirmed its previous full year guidance with sales increasing in the low teens on comp store growth of 7% to 8% and e-commerce sales growing in the 40% range. EPS are expected to increase in the low twenties percentage range, including the impact of about $500 million in share repurchases. Thor Industries-THO reported fiscal first quarter revenues declined 21% to $1.76 billion with net income and EPS down 89% to $14 million and $0.26, respectively. Earnings reflected $57.1 million, or $1.02 per share, of acquisition-related costs for a foreign currency forward contract and transaction costs. Sales for the first quarter were down 21% for the Towable segment and down 24% for the Motorized segment. Unit sales in the Towable segment were down 26% and unit sales in the Motorized segment were down 36%. Overall gross profit margins declined to 11.8%, compared to 14.9% in the prior-year period, reflecting the impact of higher overall sales promotions and increased costs primarily associated with warranty expenses. Material costs also increased due to the implementation of tariffs. Free cash flow for the quarter was negative $50 million compared to a negative $21 million in the prior year. The previously announced acquisition of Erwin Hymer Group, Europe’s premier RV manufacturer, is expected to close near the end of calendar year 2018. Biogen-BIIB exercised its option to obtain from Ionis a worldwide, exclusive, royalty-bearing license to develop and commercialize BIIB067 (IONIS-SOD1RX), an investigational treatment for amyotrophic lateral sclerosis (ALS) with superoxide dismutase 1 (SOD1) mutations. ALS with SOD1 mutations is a subtype of familial ALS and accounts for approximately two percent of all ALS cases. As a part of the option exercise, Biogen made a one-time $35 million payment to Ionis. Future payments may include potential post-licensing milestone payments of up to $55 million and royalties in the low to mid-teen percentages on annual worldwide net sales. Biogen will be solely responsible for the costs and expenses related to the development, manufacturing and commercialization of BIIB067 following the option exercise. Brown-Forman-BFB reported second fiscal quarter sales decreased slightly to $910 million with net income increasing 4% to $249 million and EPS increasing 6% to $0.52. Year-to-date, underlying net sales grew 5% on broad-based portfolio growth including a 5% increase for the Jack Daniel’s family of brands, a 25% increase for Woodford Reserve, a 15% increase in Herradura and an 11% increase in el Jimador. Emerging markets grew underlying net sales by 10%, developed international markets grew underlying net sales by 5% and the United States grew underlying net sales by 3%. During the first half of the year, Brown-Forman generated $219 million in free cash flow and returned $280 million to shareholders through dividends of $152 million and share repurchases of $128 million. Recently enacted retaliatory tariffs on American whiskey have created uncertainty around the company’s near-term outlook, making it difficult to accurately predict future results. However, management reaffirmed its full fiscal 2019 year EPS guidance of $1.65 to $1.75, representing 11% to 18% growth from last year and underlying sales growth of 6% to 7%. 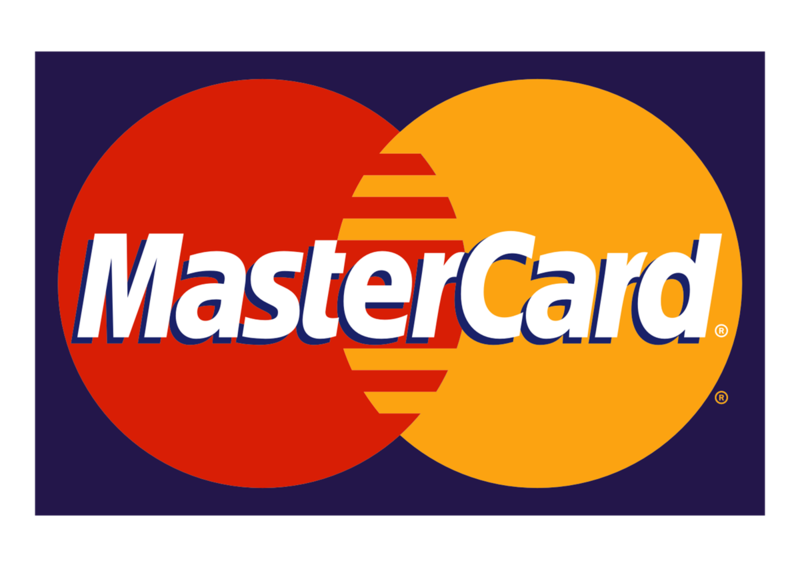 Mastercard-MA announced that its Board of Directors has increased the company’s quarterly cash dividend to 33 cents per share, a 32 percent increase over the previous dividend of 25 cents per share. The Board of Directors also approved a new share repurchase program, authorizing the company to repurchase up to $6.5 billion of its Class A common stock. Stryker-SYK announced that its Board of Directors has declared a quarterly dividend of $0.52 per share payable on January 31, 2019 to shareholders of record at the close of business on December 31, 2018, representing an increase of approximately 11% versus the prior year and the previous quarter. “We continue to deliver strong financial results, and consistent with our stated capital allocation philosophy, are raising our dividend 11%," said Kevin A. Lobo, Chairman and Chief Executive Officer. United Technologies-UTX announced the completion of its acquisition of Rockwell Collins and the company's intention to separate its commercial businesses, Otis and Carrier (formerly CCS), into independent entities. The separation will result in three global, industry-leading companies: United Technologies, comprised of Collins Aerospace Systems and Pratt & Whitney, will be the preeminent systems supplier to the aerospace and defense industry; Collins Aerospace was formed through the combination of UTC Aerospace Systems and Rockwell Collins; Otis, the world's leading manufacturer of elevators, escalators and moving walkways; and Carrier, a global provider of HVAC, refrigeration, building automation, fire safety and security products with leadership positions across its portfolio. The proposed separation is expected to be effected through spin-offs of Otis and Carrier that will be tax-free for UTC shareowners for U.S. federal income tax purposes and occur in 2020. Gregory Hayes will oversee the transition and will continue in his current role as UTC Chairman and CEO following the separation. The three independent companies will be appropriately capitalized with the financial flexibility to take advantage of future growth opportunities. Each business will be better positioned to pursue a capital allocation strategy more suitable to its respective industry and risk and return profile, and enjoy greater flexibility with an independent equity currency and more appropriately aligned management and employee incentives. UTC's commitment to strengthening its credit metrics remains unchanged. Each independent company is expected to have a strong balance sheet and to maintain an investment grade credit rating. Following separation, the three companies together are initially expected to pay a quarterly dividend that is in sum no less than 73.5 cents per share, although each company's dividend policy will be determined by its respective Board of Directors following the completion of the separation. Until the planned transactions are completed, UTC expects to continue to pay a quarterly dividend of no less than 73.5 cents per share. The separation is expected to be completed in 2020, with separation activities occurring within the next 18-24 months. UTC updated its 2018 outlook to include the acquisition of Rockwell Collins and now anticipates: Sales of $64.5 to $65.0 billion, up from $64.0 to $64.5 billion; Adjusted EPS dilution of approximately $0.10 from the acquisition, resulting in adjusted EPS of $7.10 to $7.20, down from $7.20 to $7.30; Free cash flow of $4.25 to $4.5 billion, down from $4.5 to $5.0 billion*; All outlook changes are related to the acquisition of Rockwell Collins. There is no change in the Company's previously provided 2018 expectations for organic sales growth of approximately 6 percent. For 2019, UTC anticipates the acquisition to be $0.15 to $0.20 accretive to adjusted EPS, including the estimated impact of approximately $650 million of incremental intangible amortization associated with the transaction. UTC also expects $500 to $750 million of accretion to free cash flow in 2019 from Rockwell Collins. The weighted average diluted shares outstanding for 2019 is expected to be approximately 872 million shares. Paychex-PAYX announced that it has entered into an agreement to acquire Oasis Outsourcing Acquisition Corporation ("Oasis"), the nation's largest privately owned professional employer organization (PEO) and an industry leader in providing human resources outsourcing services. The acquisition will significantly advance Paychex's leadership position in HR outsourcing, leveraging the scope of the company's technology platform and providing new clients access to Paychex's innovative products and technology-enabled services. Paychex will now serve more than 1.4 million worksite employees (WSEs) through its HR outsourcing services. Oasis serves more than 8,400 clients across all 50 states with its HR solutions, employee benefits, payroll administration, and risk management services. The total cash purchase price is $1.2 billion and is expected to be financed through a combination of cash on Paychex's balance sheet and borrowings under existing credit facilities or new debt. Paychex will see a number of revenue and cost synergies as a result of this transaction. Excluding transaction costs, the acquisition is expected to have minimal impact on fiscal year 2019 earnings per share. United Technologies-UTX announced that it has received the final regulatory approval needed to close its acquisition of Rockwell Collins, Inc. The conclusion of the regulatory review by China's State Administration for Market Regulation clears the way for United Technologies to proceed with the proposed acquisition announced on September 4, 2017. The acquisition is expected to close within three business days. TJX Companies-TJX rang up a 12% increase in third quarter sales to $9.8 billion with net earnings increasing a fancy 19% to $762 million and EPS up 22% to $0.61. Excluding the impact from tax reform legislation and a pension settlement, adjusted EPS of $0.54 increased 8%. Consolidated comp store sales grew 7%, driven by strong customer traffic at every division. Marmaxx, TJX’s largest division, delivered a fashionable 9% comp store sales increase, marking the 17th consecutive quarter of increased customer traffic at TJX and Marmaxx. HomeGoods comp store sales grew 7% while TJX Canada comp store sales grew by 5% and TJX International sales grew 3%. Gross profit margin for the third quarter was 28.9%, down nearly 1% from last year, as strong expense leverage on the higher sales was more than offset by increased freight costs, supply chain expenses and an unfavorable inventory hedge comparison. Inventories jumped 17% to $5.5 billion ahead of an expected robust holiday selling season. During the third quarter, TJX opened 102 new stores, bringing the total number of stores to 4,296 as of Nov. 3, 2018. Management aims to operate 6,100 stores under its current brands and geographic footprint. During the third quarter, TJX generated $618 million in free cash flow, up 4% from last year, with the company returning a total of $841 million to shareholders through dividends of $241 million and share repurchases of $600 million at an average cost of $52.63 per share. TJX now expects to repurchase about $2.5 billion of TJX stock in fiscal 2019. Looking ahead to the fourth quarter, based on an expected 2% to 3% increase in comp store sales, adjusted EPS are to be in the range of $.56 to $.57, down 5% from last on incremental freight costs and wage increases and the timing of expenses. For the full year, based on estimated comp store sales growth of 5% on a consolidated basis and 6% at Marmaxx, management expects adjusted EPS in the range of $2.08 to $2.09, up 8% from last year. Ross Stores-ROST reported third quarter revenues rose 7% to $3.5 billion with net income up 23% to $338 million and EPS up 26% to $.91. Comparable store sales rose 3% during the quarter. Both sales and earnings were ahead of management’s forecast, despite being up against very strong multi-year comparisons. Though above plan, operating margin of 12.4% was down from last year as a higher merchandise margin was more than offset by increases in freight costs and labor costs. Free cash flow increased 29% year-to-date to $1.2 billion with the company paying $254 million in dividends and repurchasing 9.4 million shares for $806.5 million at an average price of approximately $85.80 per share. Management remains on track to repurchase $1.1 billion of stock for the full fiscal year. As Ross enters the holiday season, they expect the retail environment to remain fiercely competitive. While they hope to do better, Ross Stores continues to project fourth quarter comparable store sales gains of 1% to 2% versus a strong 5% last year. Fourth quarter EPS guidance was raised to $1.09-$1.14, which includes a one-time, non-cash benefit of approximately $.07 per share related to the favorable resolution of a tax matter. This also led to an increase in fiscal 2018 full year guidance for EPS in the range of $4.15-$4.20. Maximus-MMS reported 2018 fourth quarter revenue and earnings of $558.4 million and $0.71 per share. The revenue was down 10% from the prior year primarily due to contracts that completed without continuation, re-compete and extension awards that reset contract terms, contracts that were re-competed as small business awards and some rebid losses. Operating income and EPS was negatively impacted by the loss of contracts and the lower margins experienced on new contract awards and the impact of the reset of re-compete and extension awards. The pressure on revenue and earnings were felt across all of the company’s operating segments in the fourth quarter. Full year 2018 revenue was slightly down from $2.45 billion in 2017 to $2.39 billion in 2018, primarily due to the contract work that was completed in the Federal segment without follow-on contract opportunities, existing contracts that were limited to small business firms when renewed and some losses of existing contract in competition. Earnings increased from $3.17 per share in 2017 to $3.35 in 2018. The earnings increase was primarily driven by the lower corporate tax rates which more than offset the impact of the lost revenue. Operating and free cash flows remained strong, although slightly down year over year as new contract starts tend to use cash initially. In 2018, Maximus repurchased 1.1 million shares of stock for $67.6 million or an average share price of $62.07. In November of 2018, Maximus completed the acquisition of select contracts specializing in operation of civilian citizen engagement center contracts from General Dynamics. The contracts acquired will add revenue of $612.5 million dollars in 2019 (over 10 ½ months) with a corresponding increase in earnings of $0.45 per share. The contracts were acquired for $400 million, in an all cash deal. The two largest contracts in the purchase are to Medicare open enrollment, the contract is in place through 2023. The second contract to operate the 2020 Census Questionnaire Assistance center will operate through June of 2021when the census is completed. In addition to the revenue and earnings gained from the contracts, Maximus benefits with additional expertise in a core competency area, synergies from the increase in contract base which makes the company more rate competitive and increases the revenue in the Federal segment to over $1 billion, making the company more viable as a large government prime contractor in the Federal marketplace. Overall the acquisition appears to be a good fit strategically and tactically for Maximus and its shareholders. Maximus provided guidance for 2019 with revenues, including the acquisition, expected in the range of $2.925 billion and $3.0 billion, an increase of 22.2% on the low end. Earnings are projected between $3.55 and $3.75 per share for 2019, an increase of 6% on the low side. Maximus begins the year with 93% of the estimated revenue in backlog. The new contract pipeline for the company, including the re-compete of existing contracts that are expected to be bid in the next six months is $2.7 billion, consistent with prior years. Approximately 75% of the pipeline consists of new contract opportunities that represent growth to the company if won. Hormel Foods-HRL reported fourth quarter sales increased 1% to $2.5 billion with net income up 20% to $261.4 million and EPS up 17% to $.48. For the full fiscal 2018 year, revenues increased 4% to $9.5 billion with net income up 20% to $1.0 billion and EPS up 19% to $1.86. Return on shareholders’ equity was a plump 17.3% during the year. Free cash flow increased 6% to $861.9 million during the year with the company paying $388.1 million in dividends and repurchasing $46.9 million of shares. Thanks to record earnings and cash flows, Hormel announced a 12% increase in its annual dividend, marking the 53rd consecutive year of dividend increases. This is the 10th consecutive year of double-digit dividend increases and the 90th year Hormel has paid a dividend. For fiscal 2019, management expects revenues in the range of $9.7 billion to $10.2 billion with EPS expected in the range of $1.77 to $1.91.